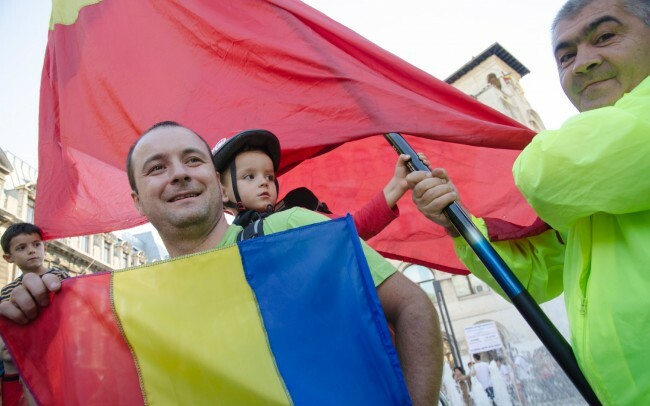 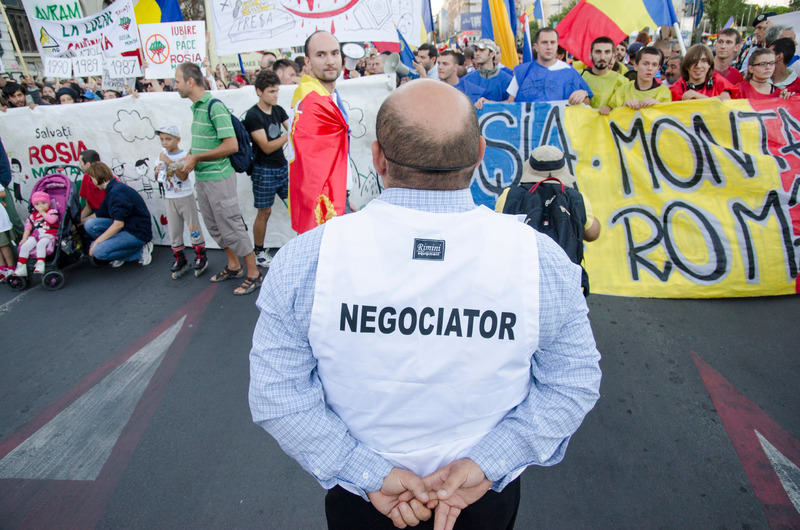 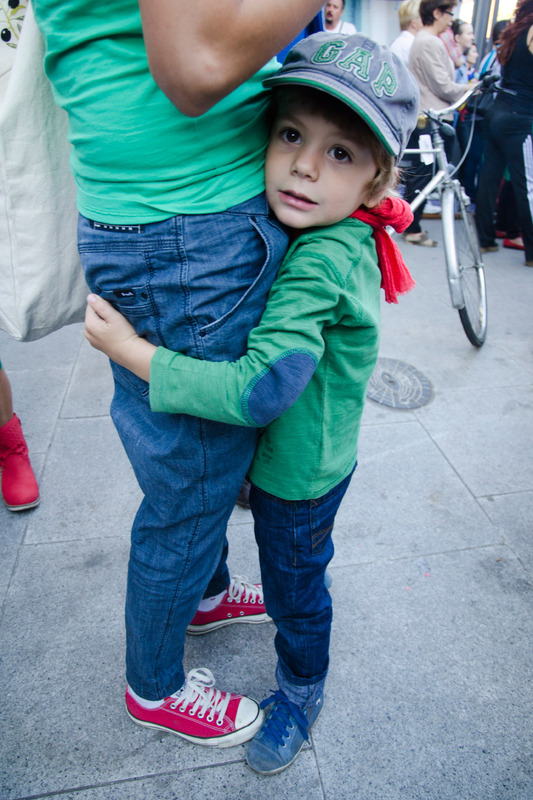 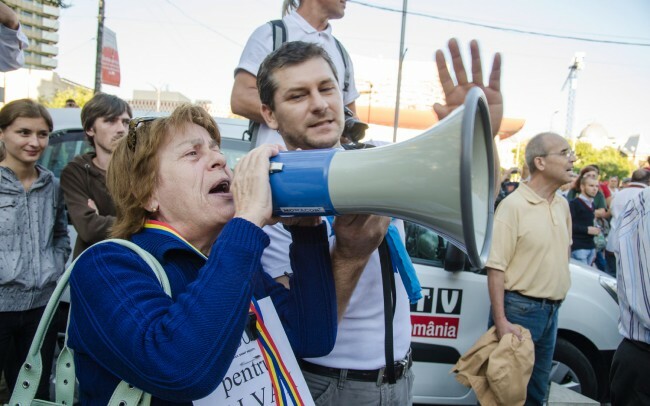 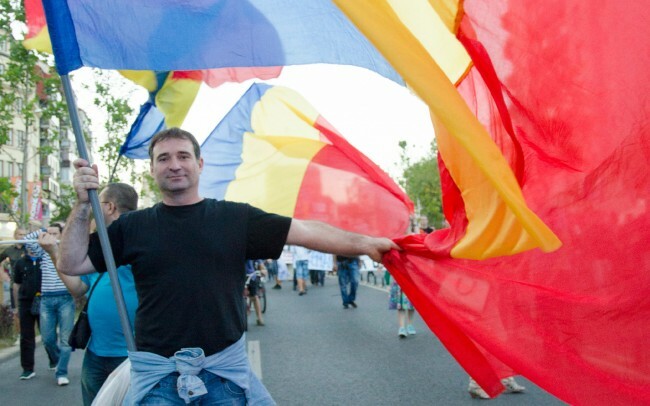 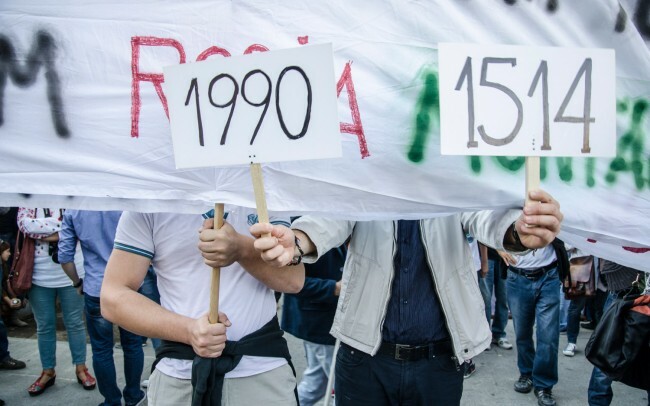 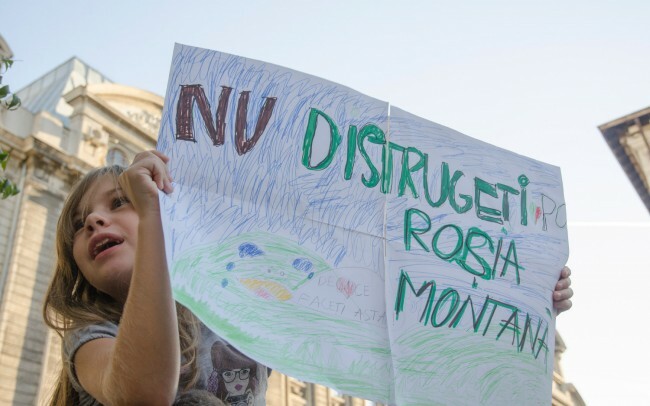 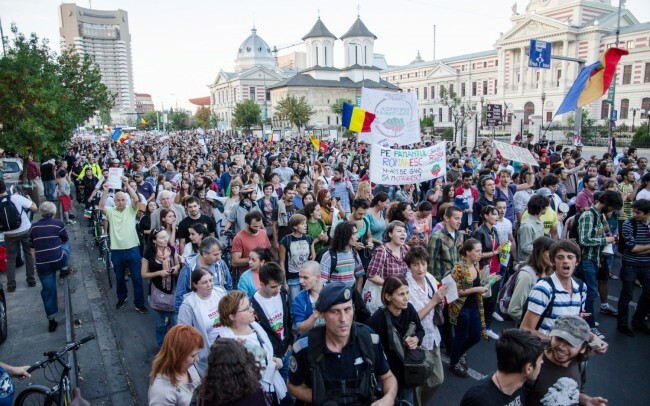 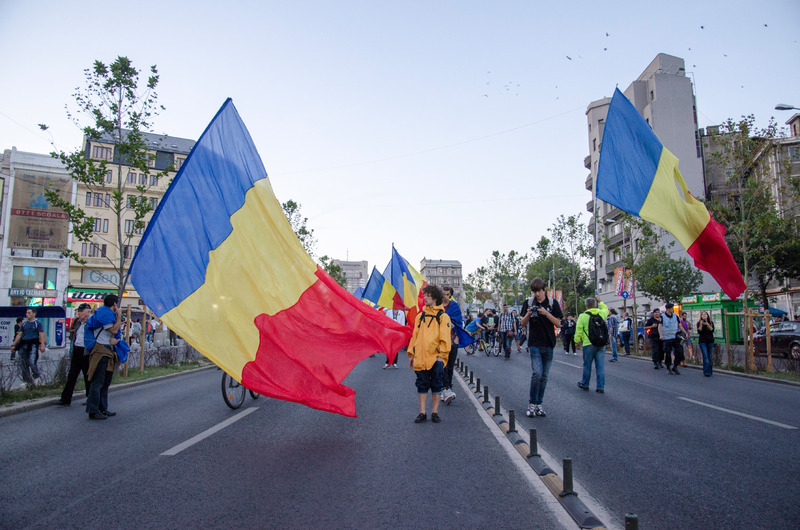 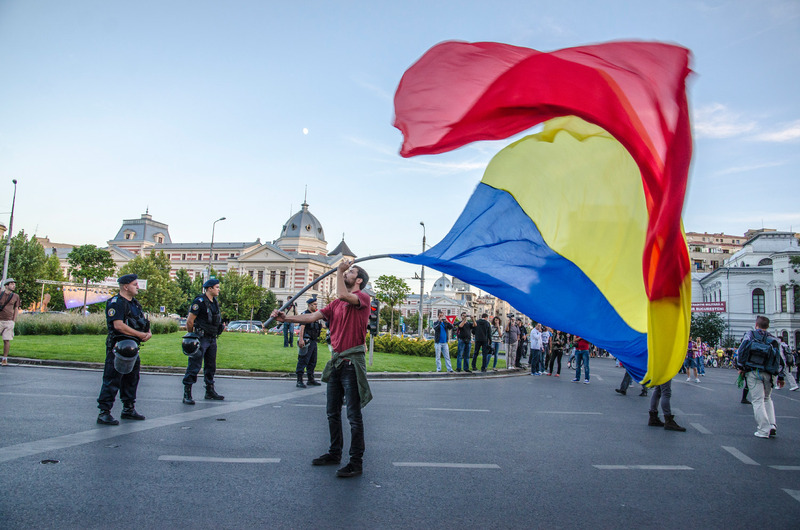 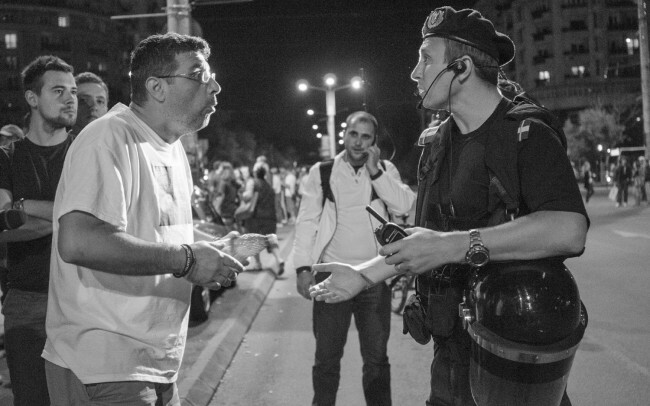 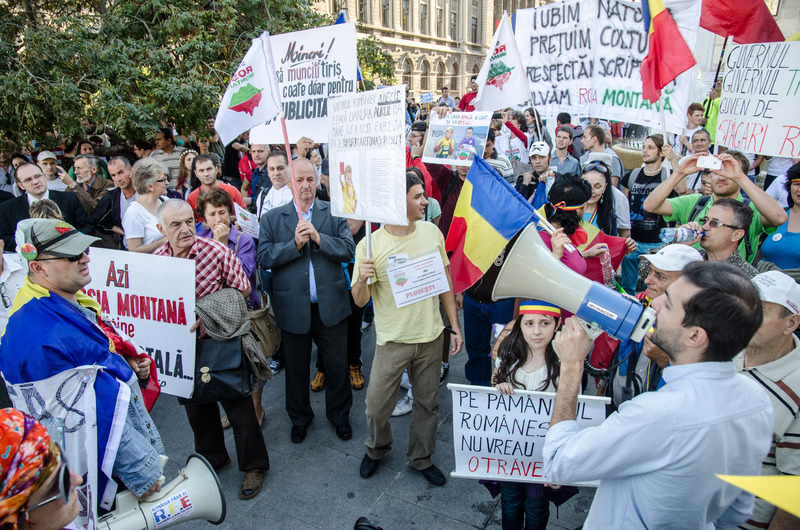 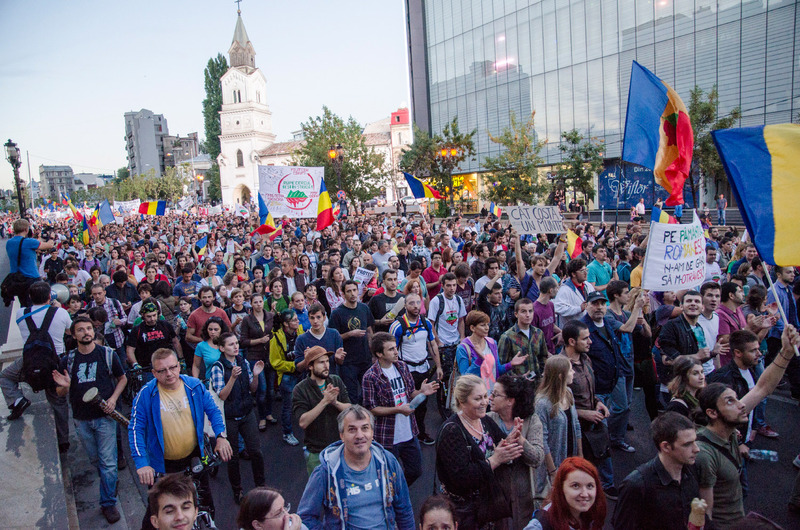 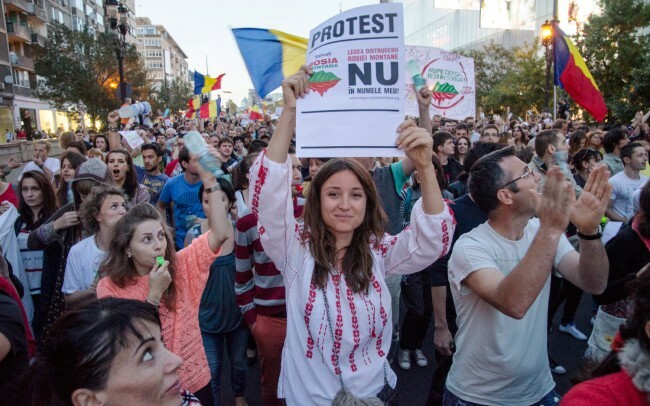 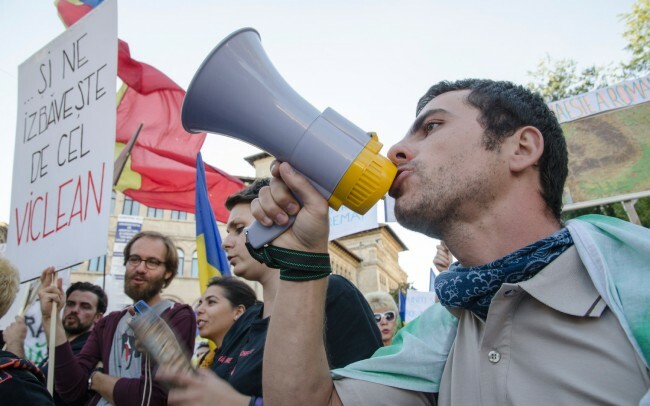 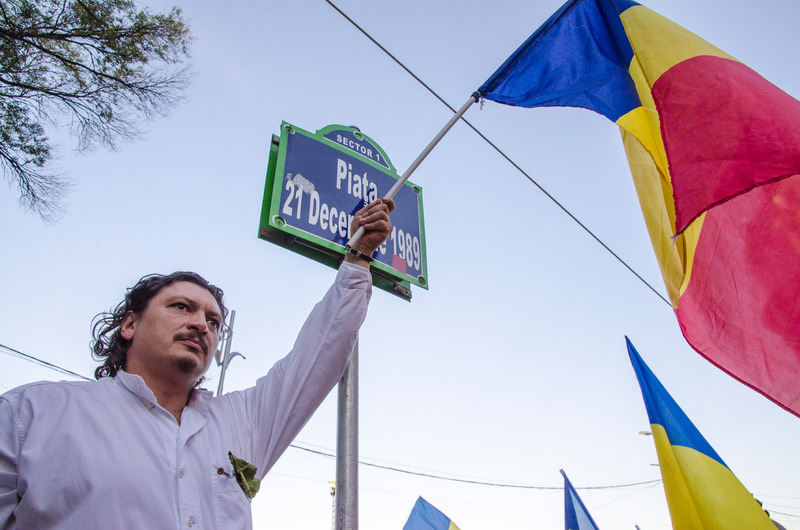 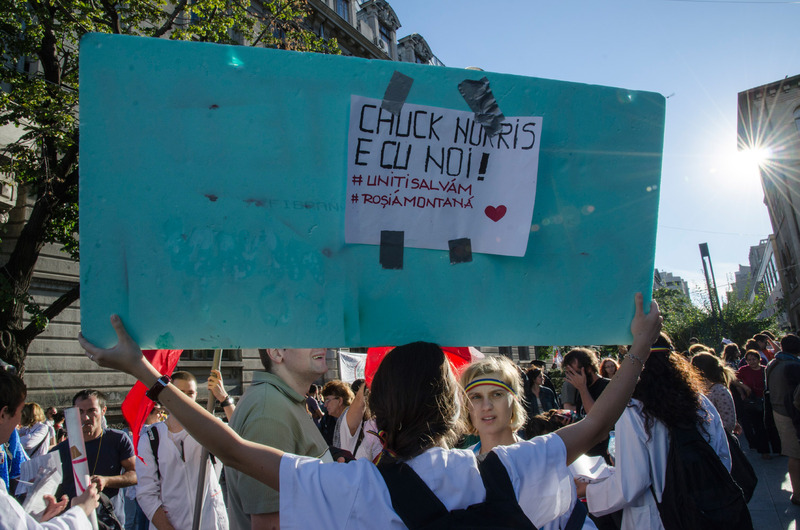 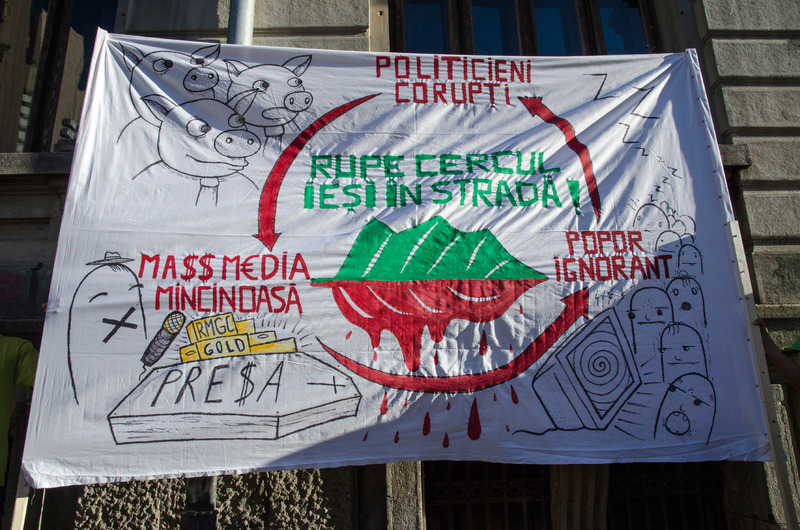 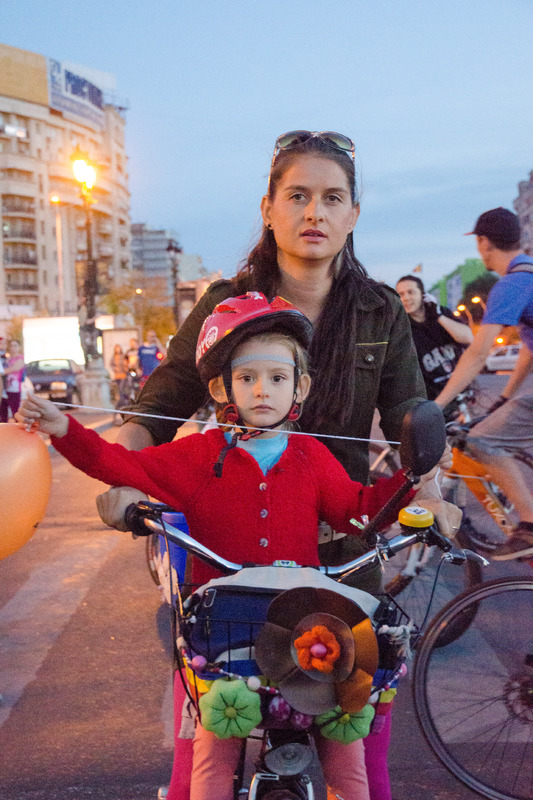 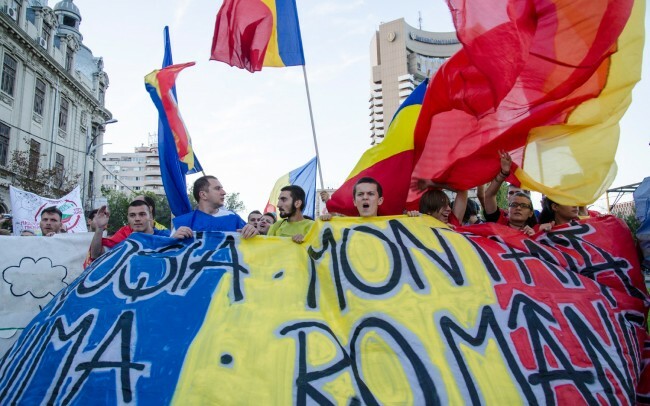 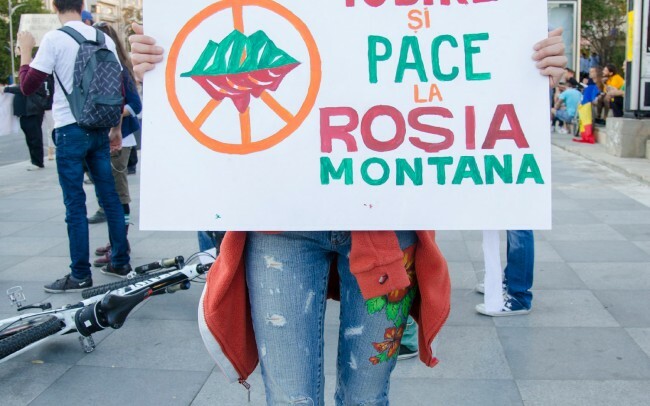 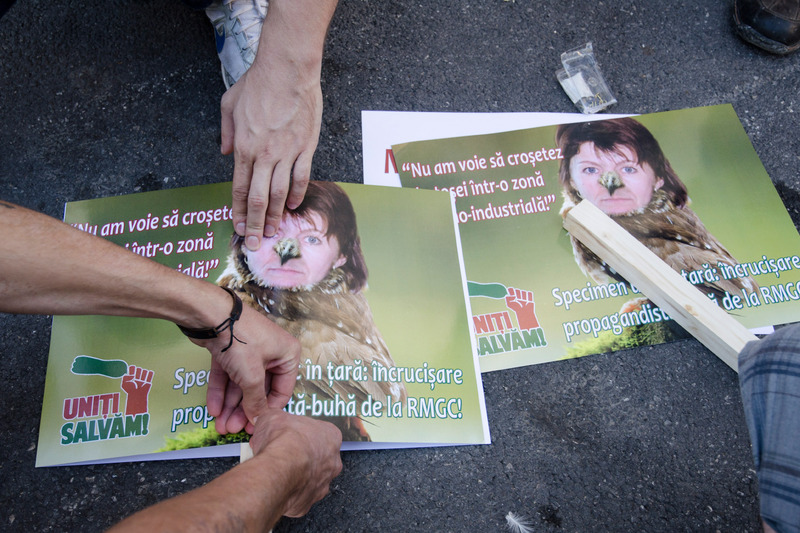 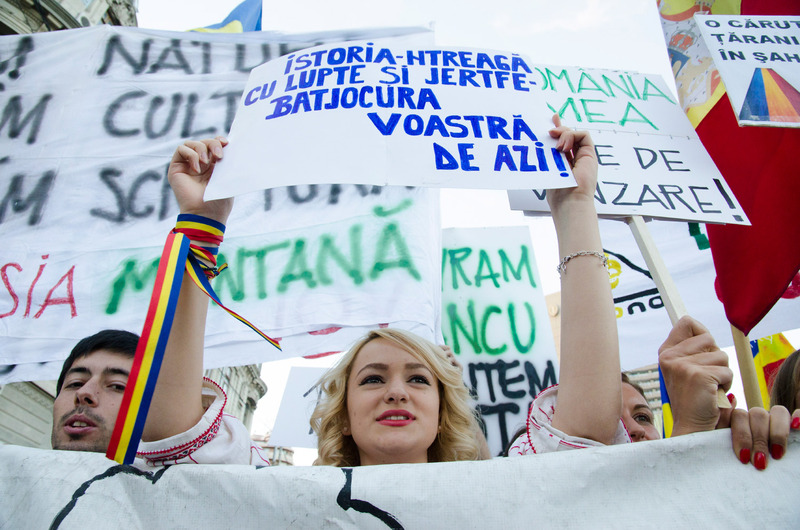 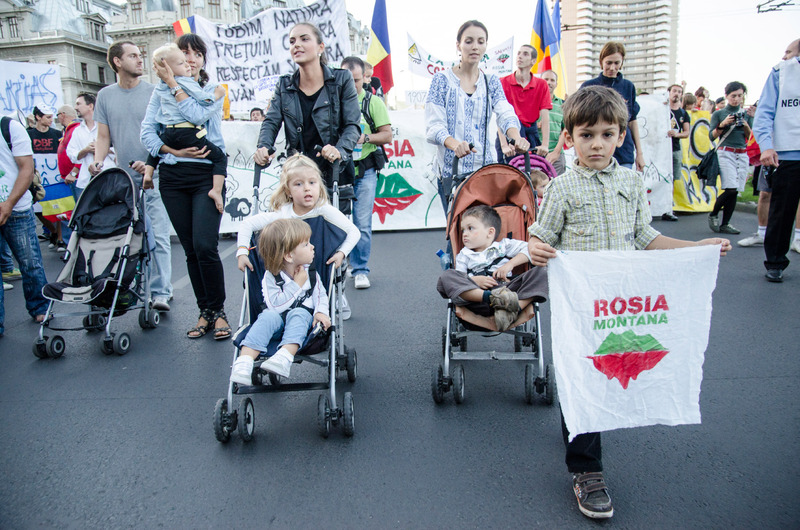 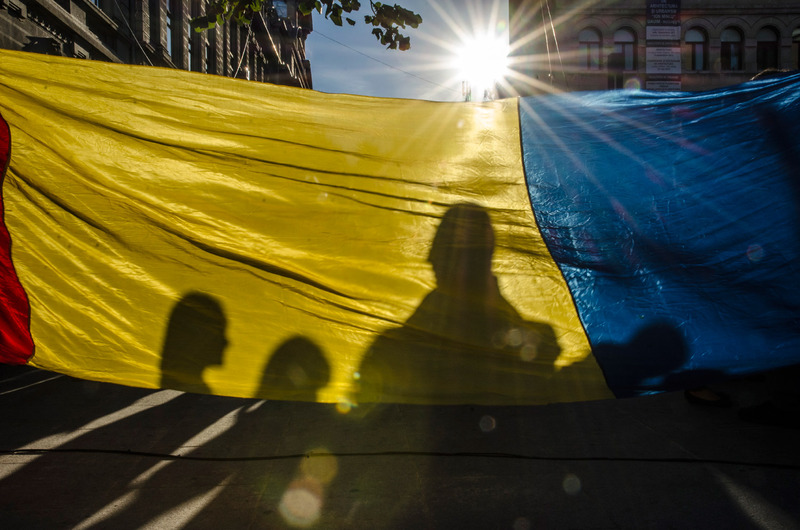 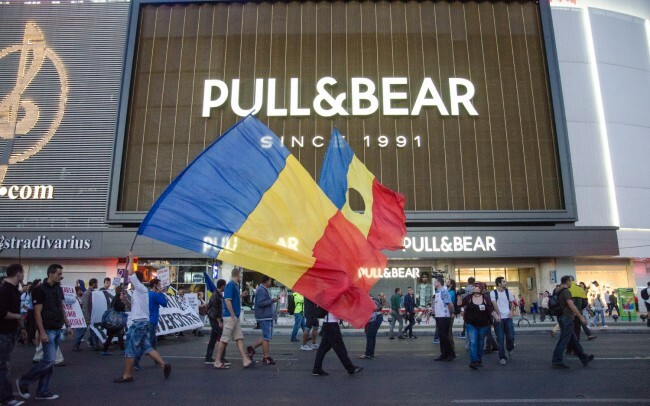 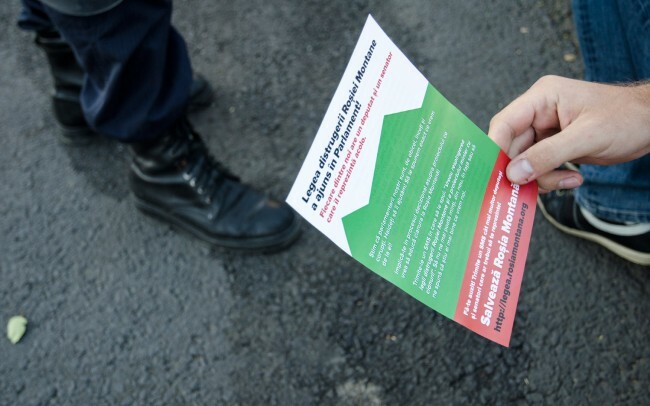 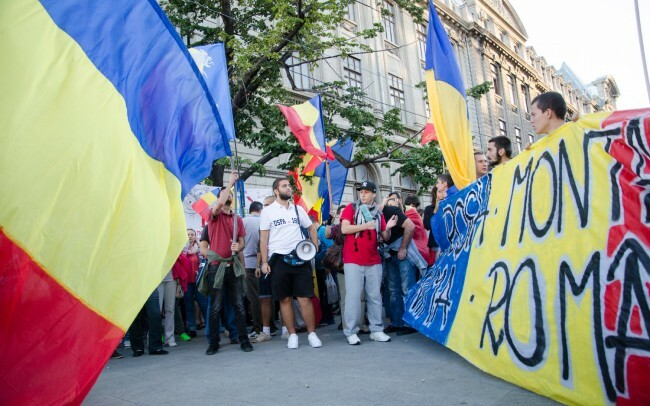 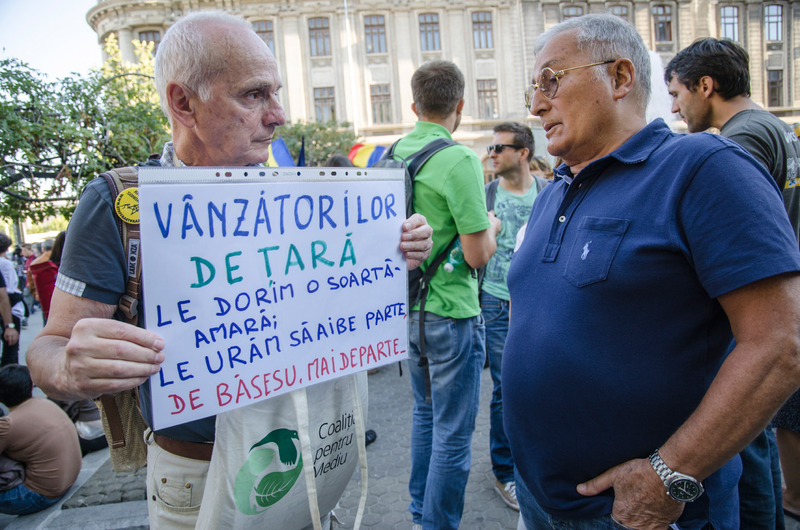 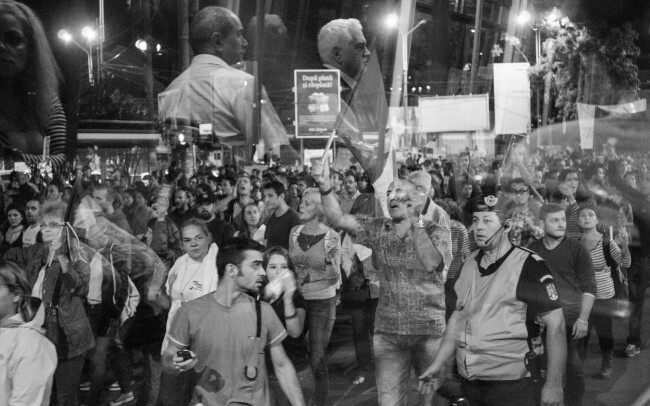 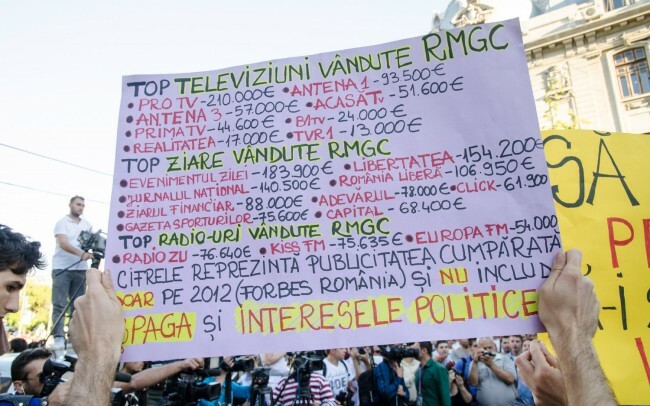 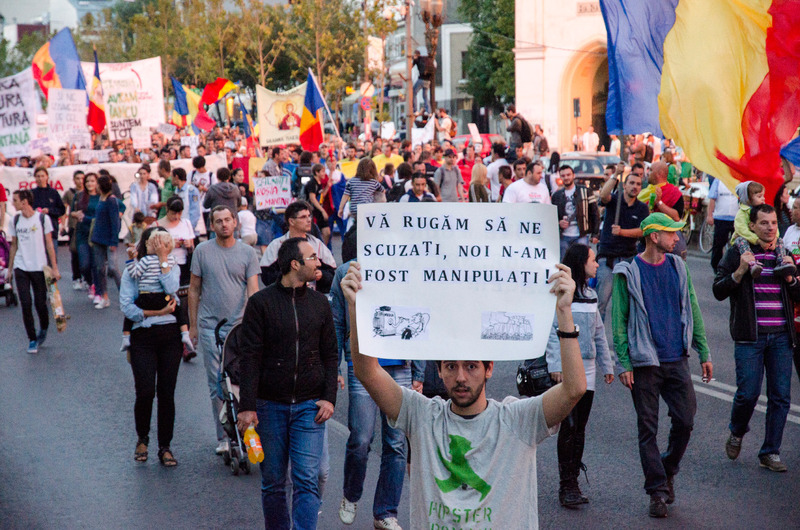 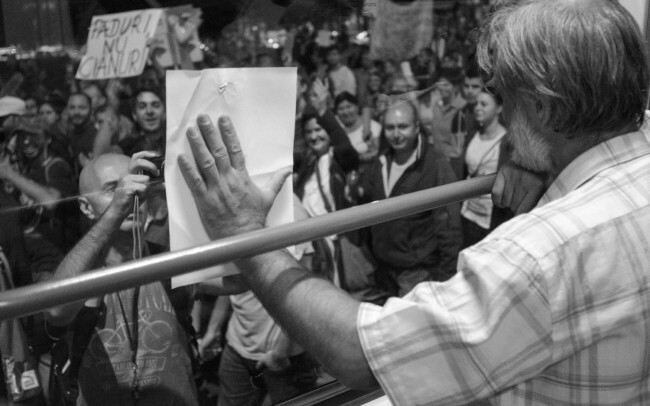 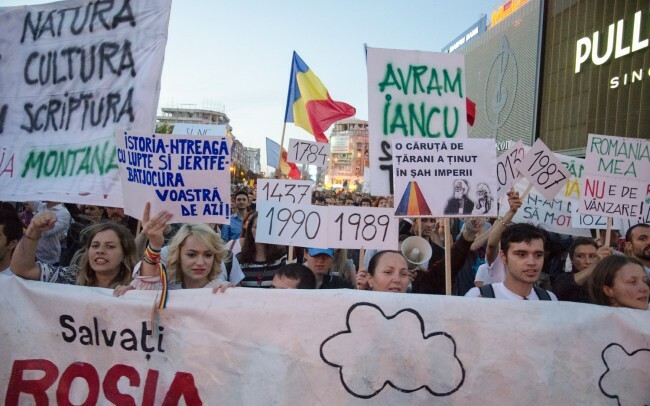 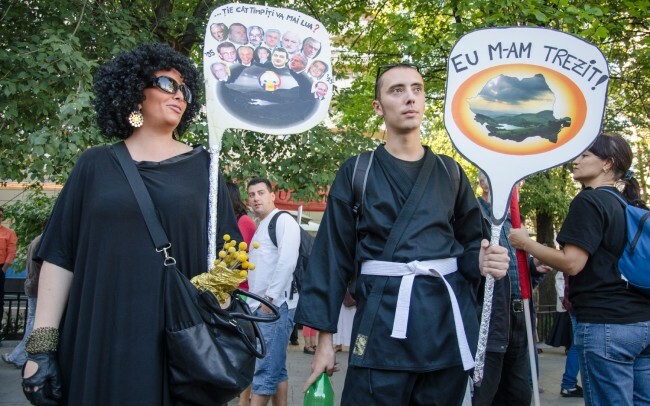 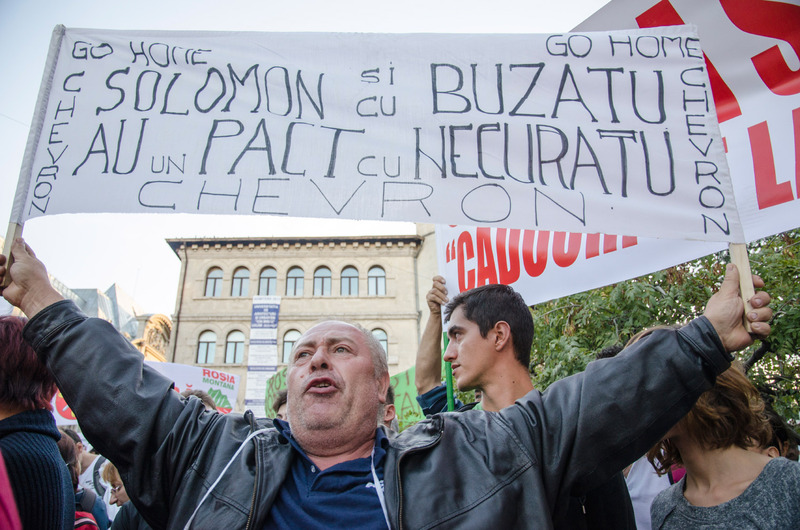 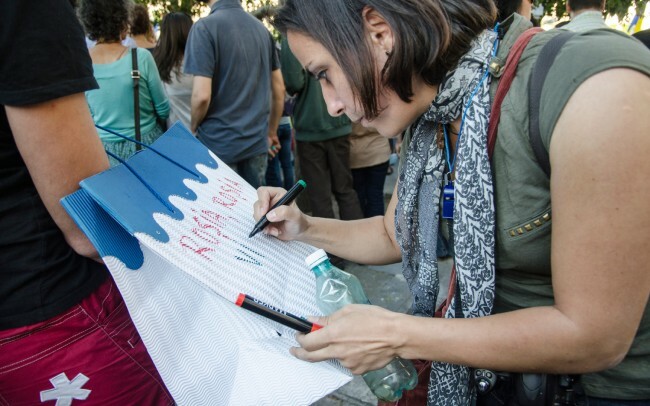 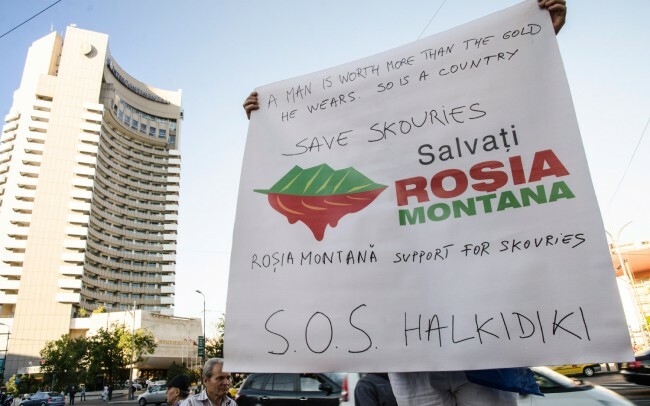 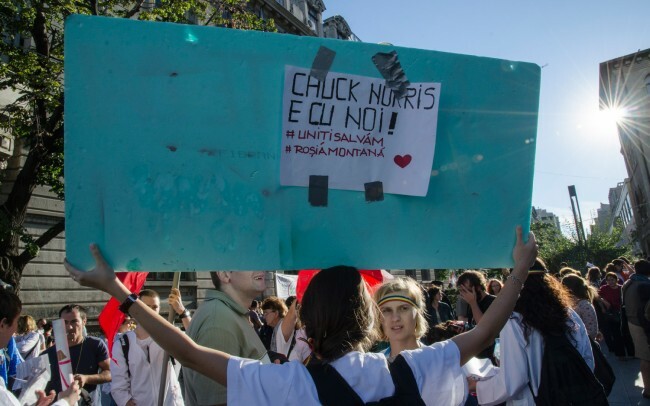 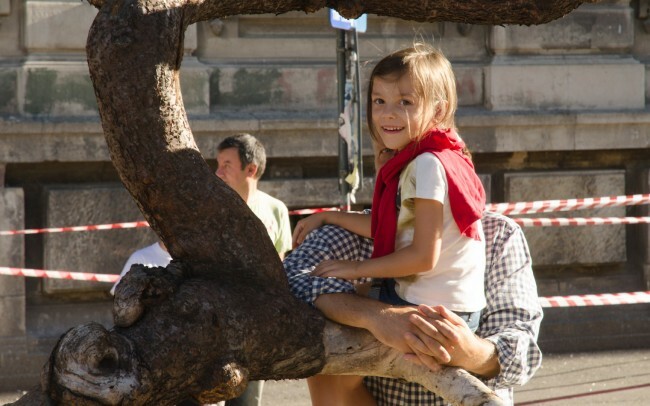 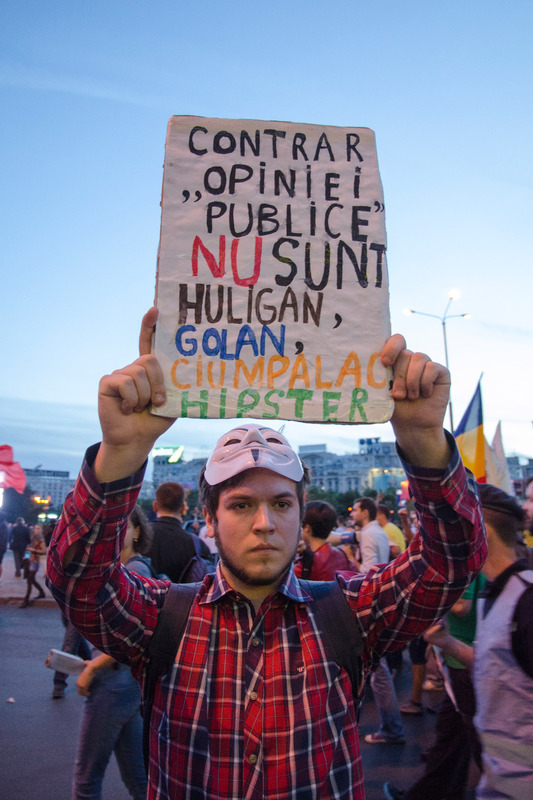 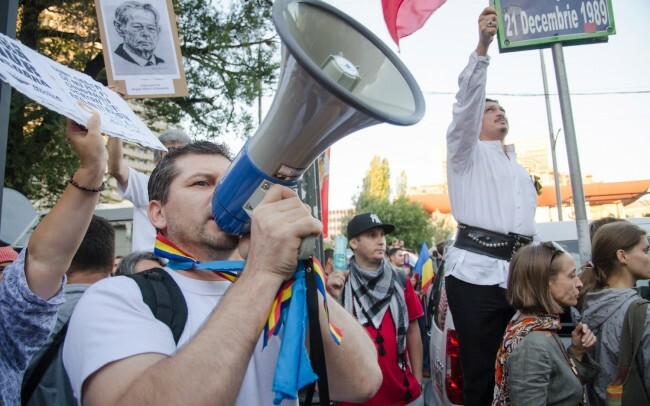 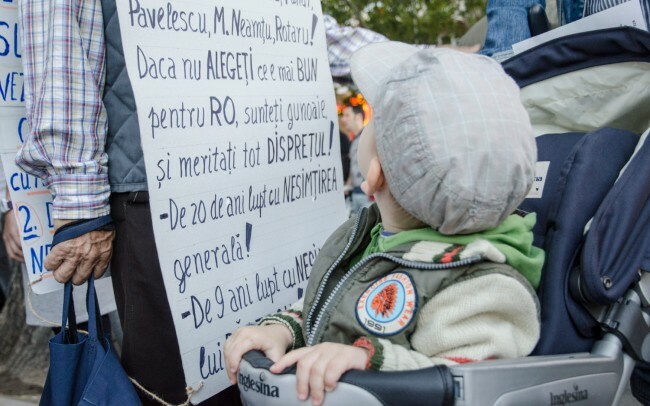 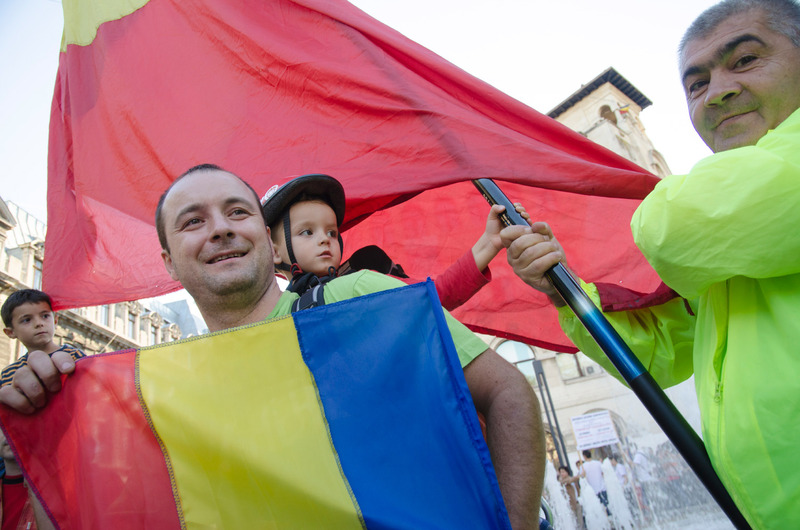 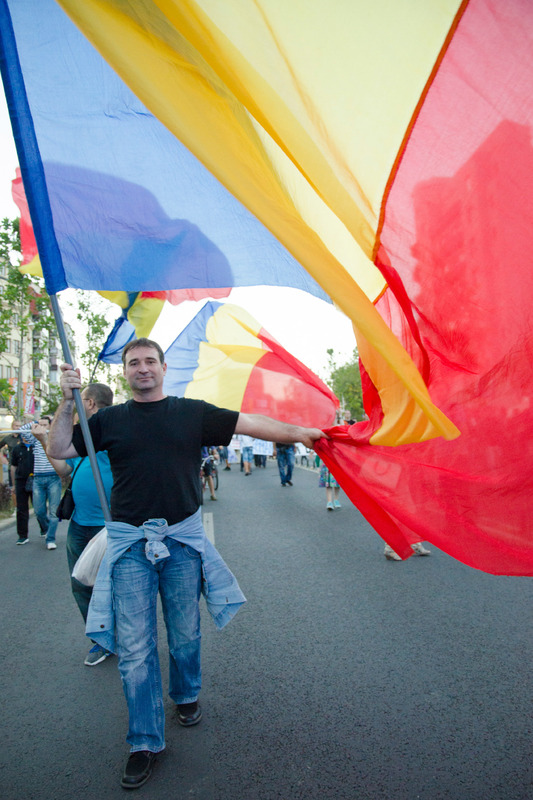 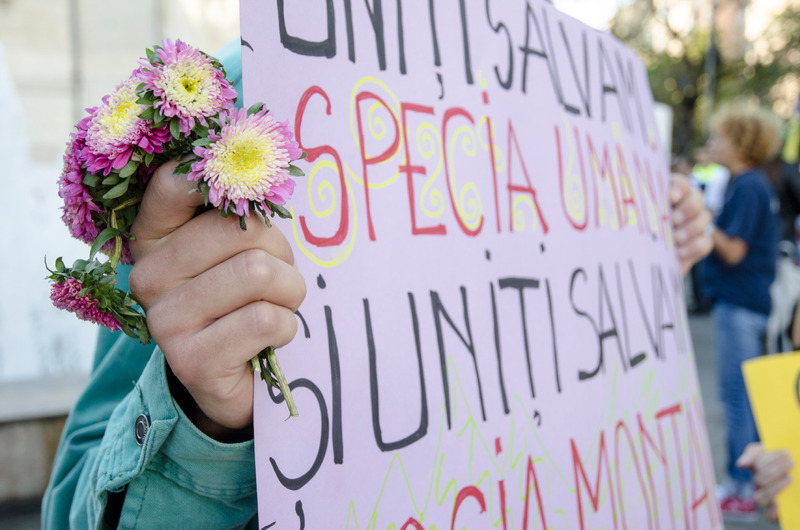 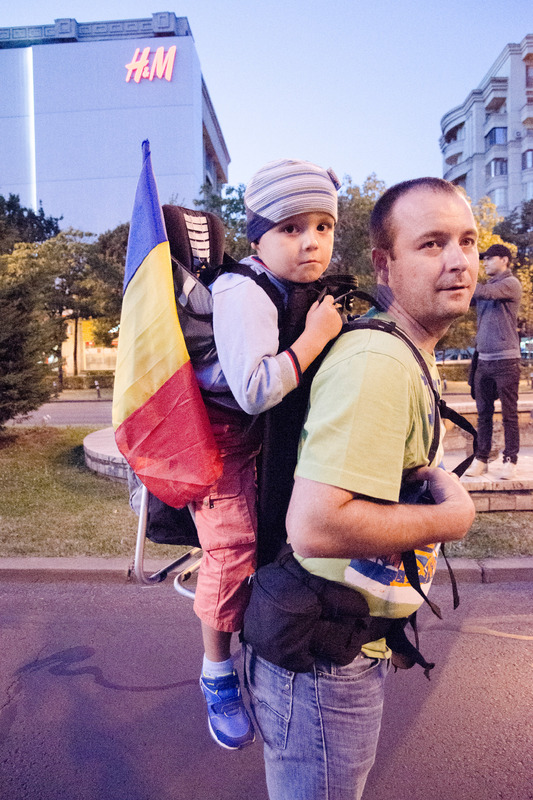 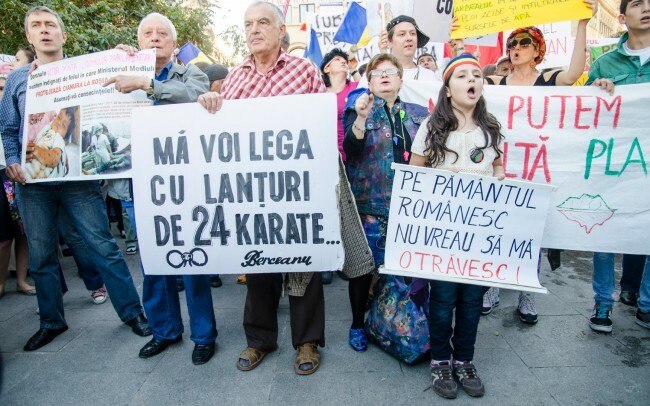 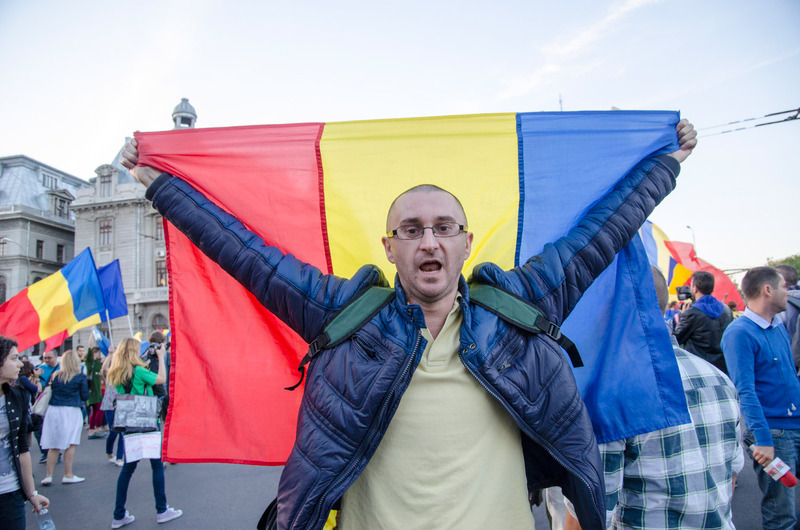 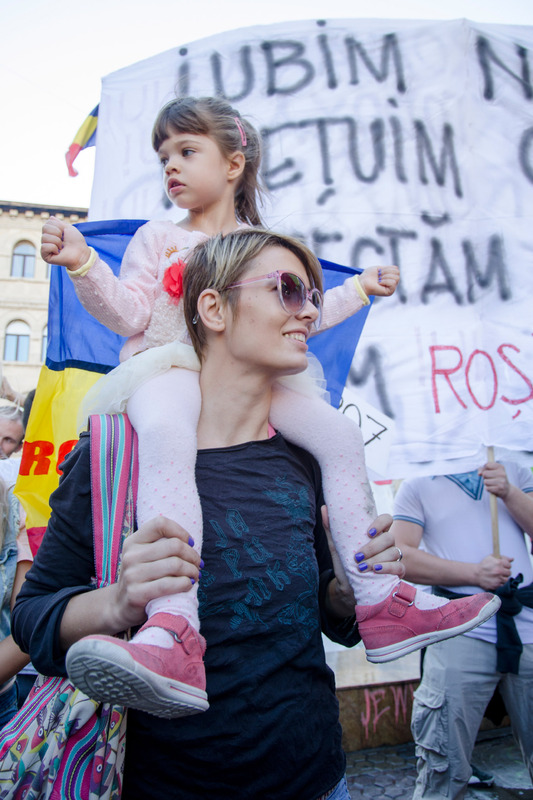 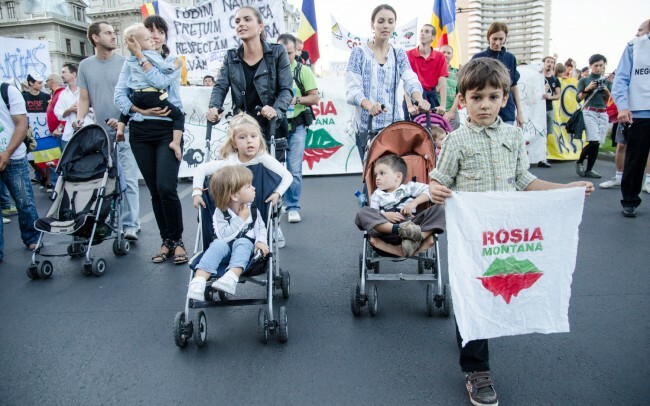 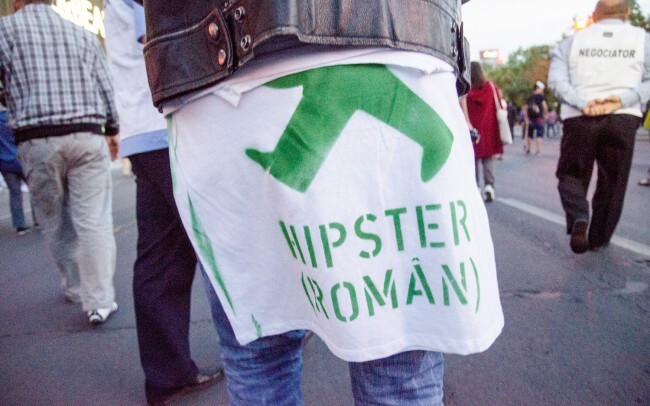 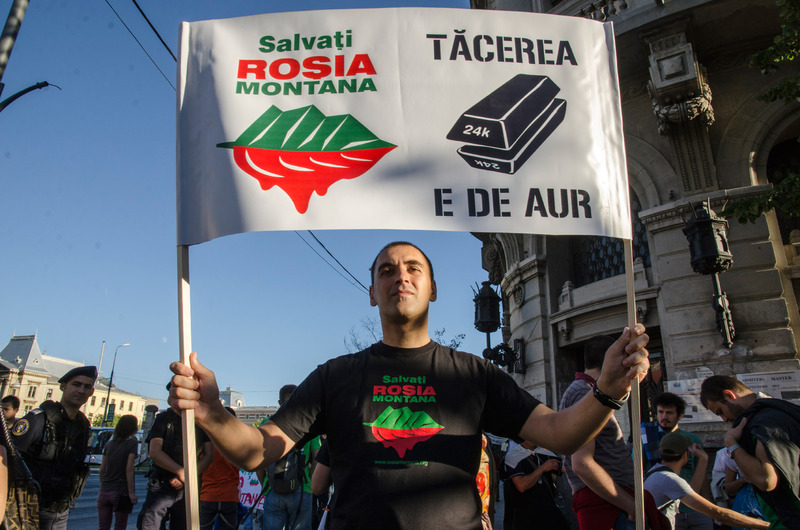 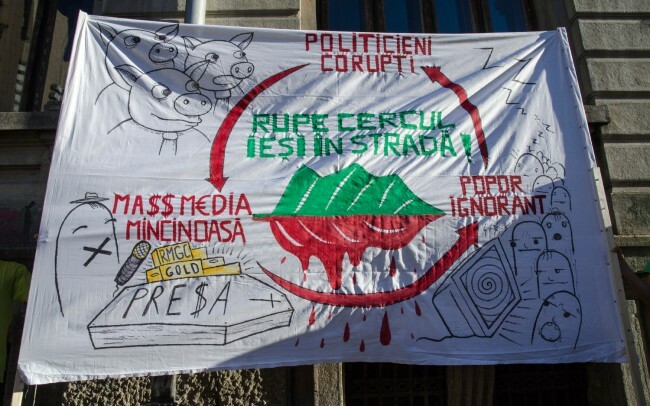 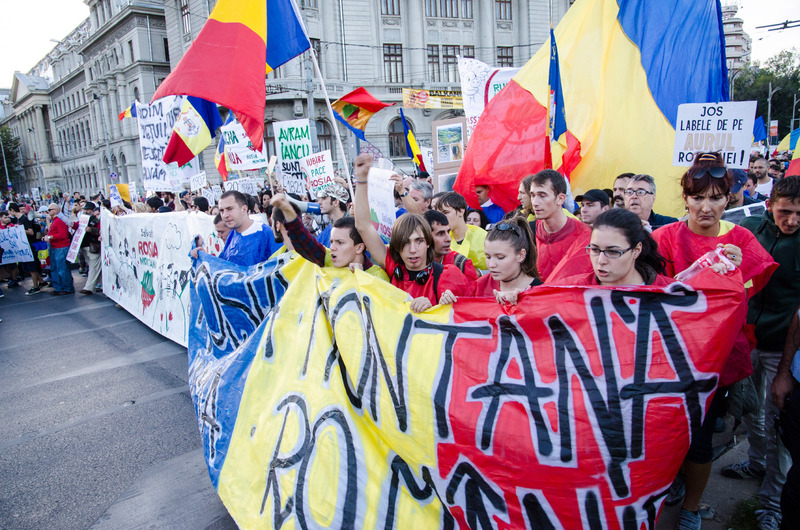 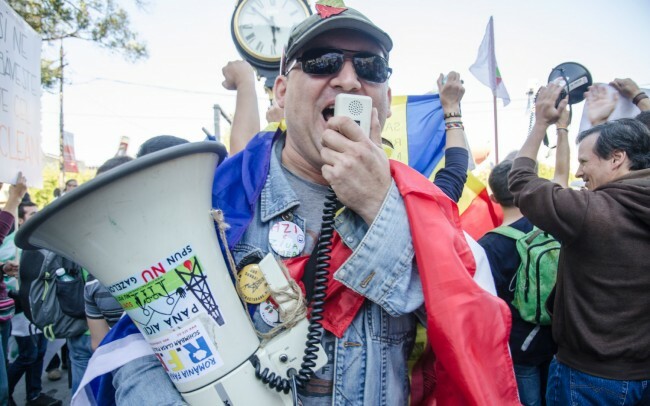 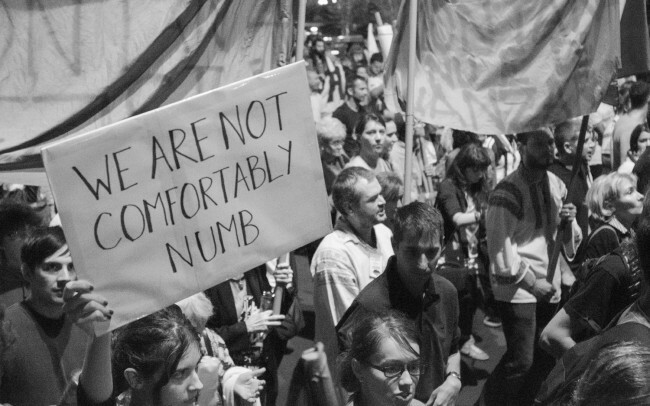 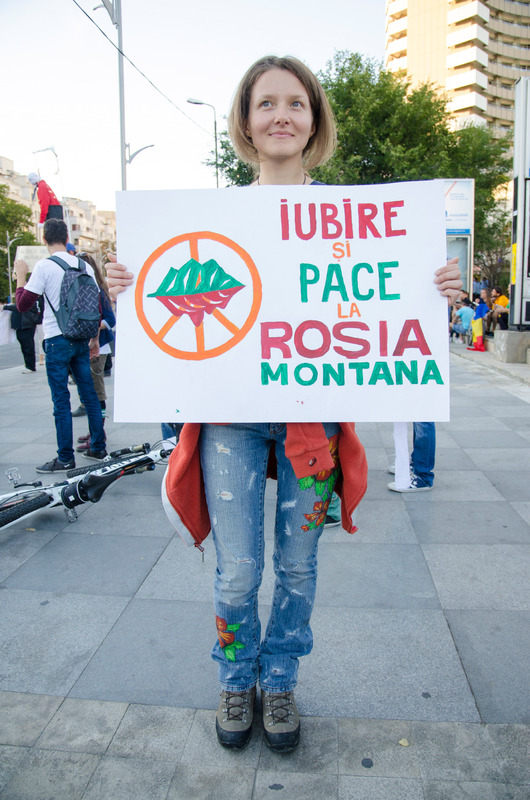 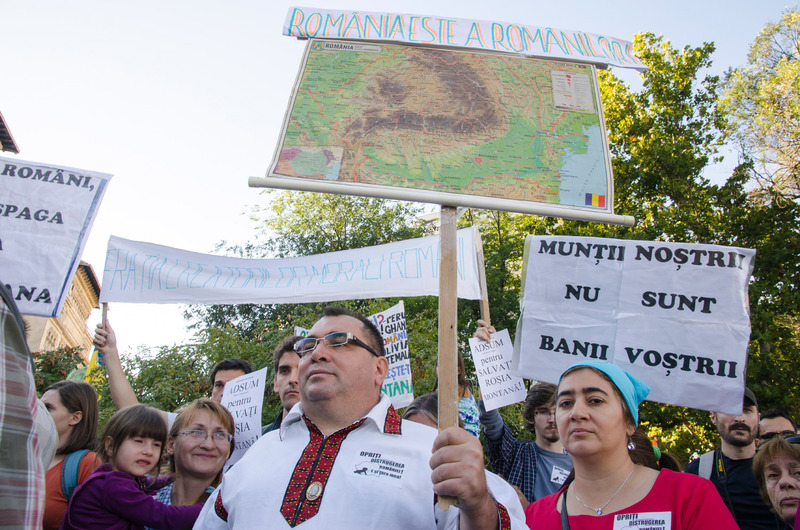 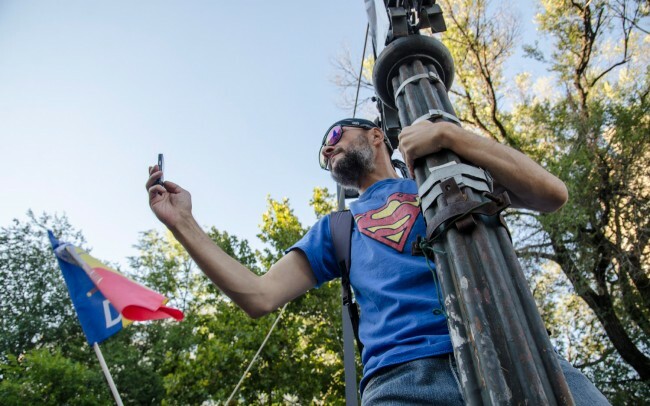 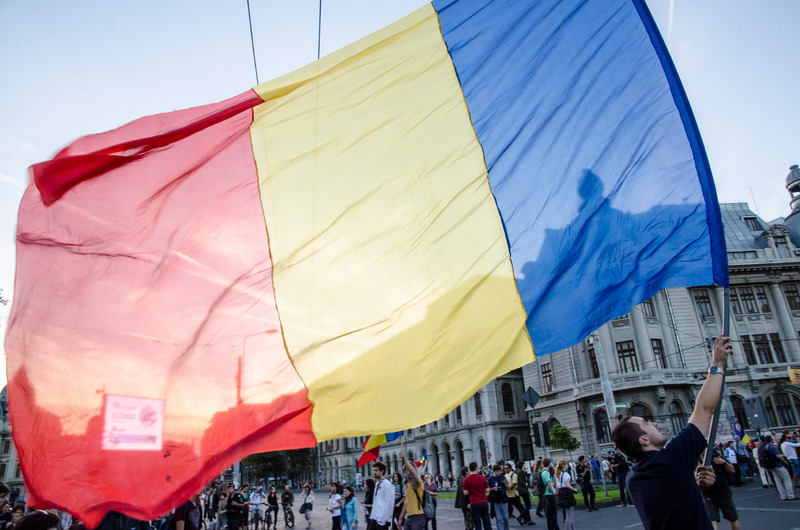 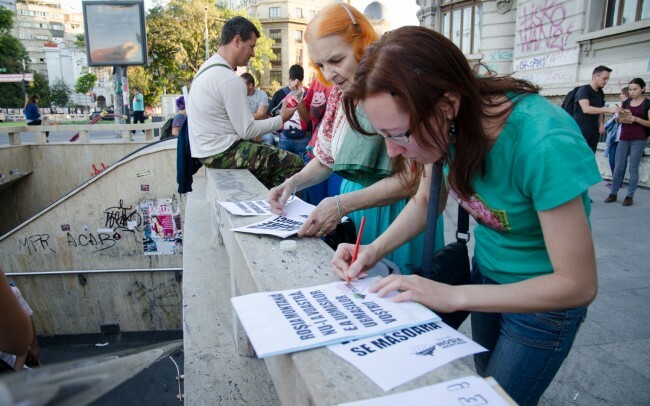 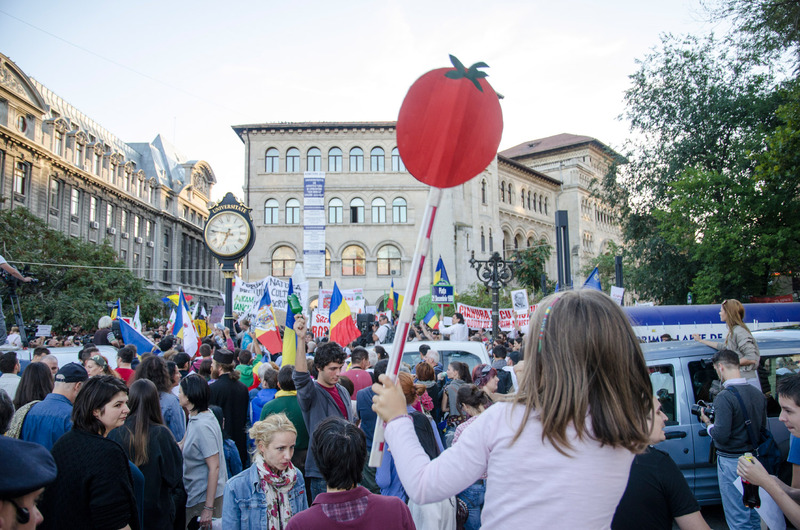 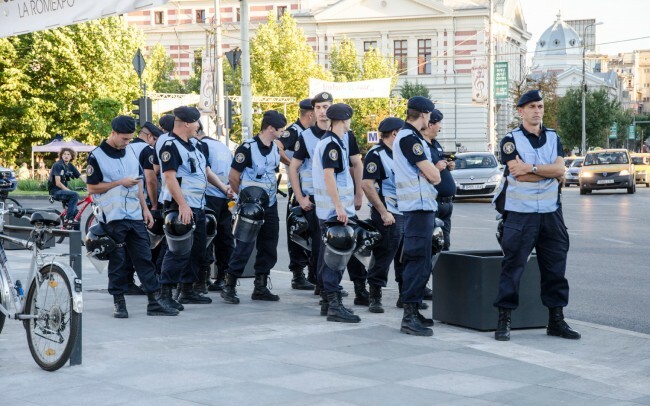 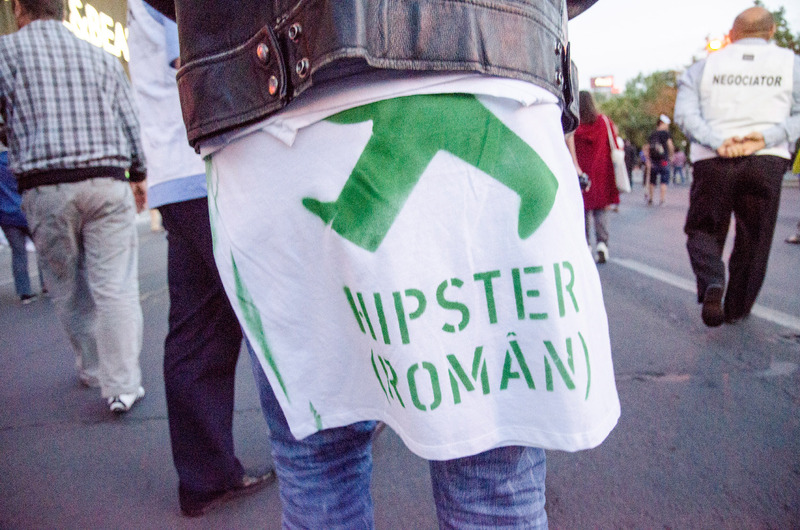 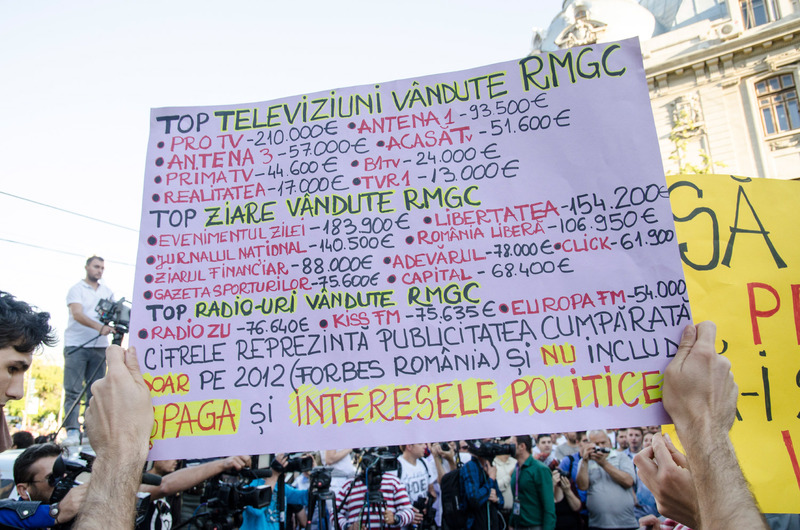 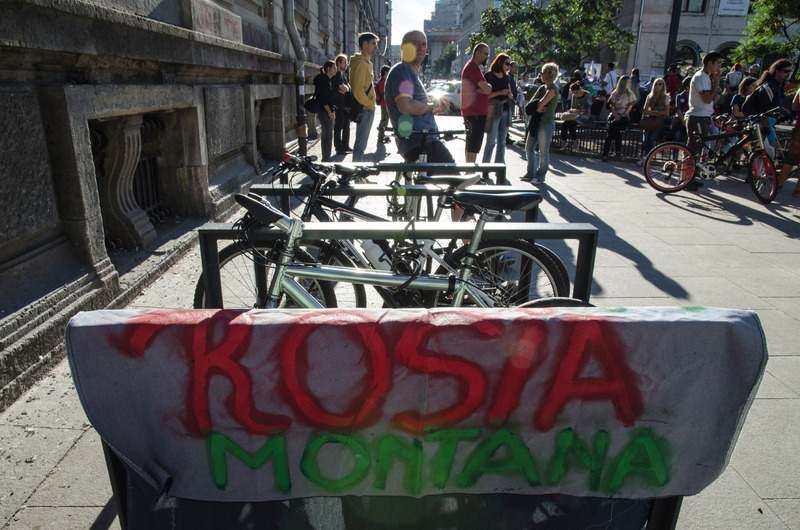 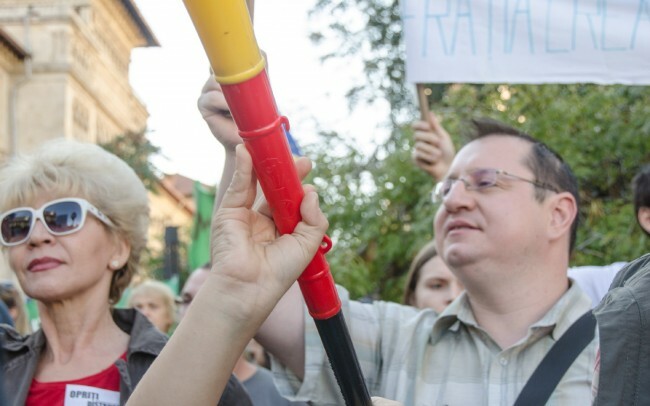 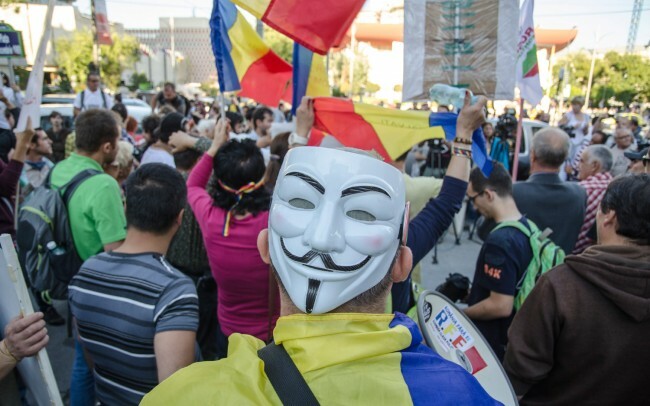 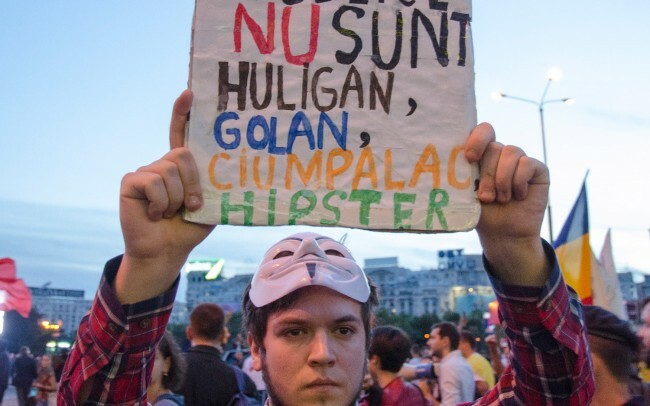 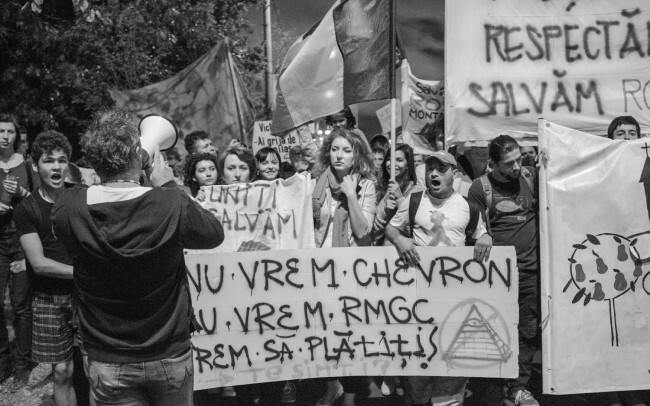 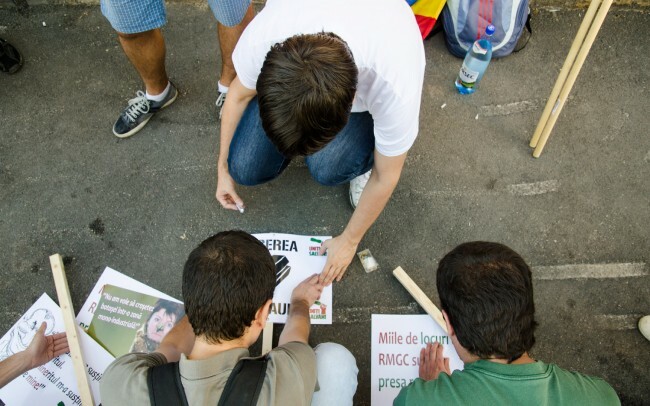 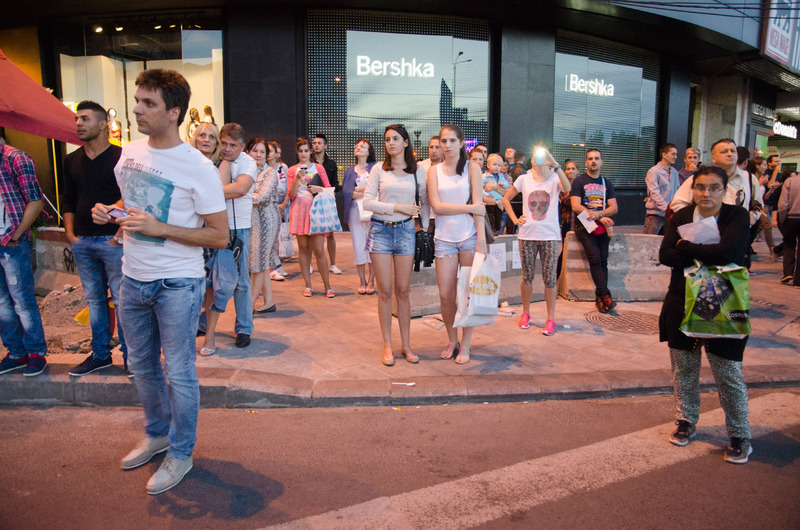 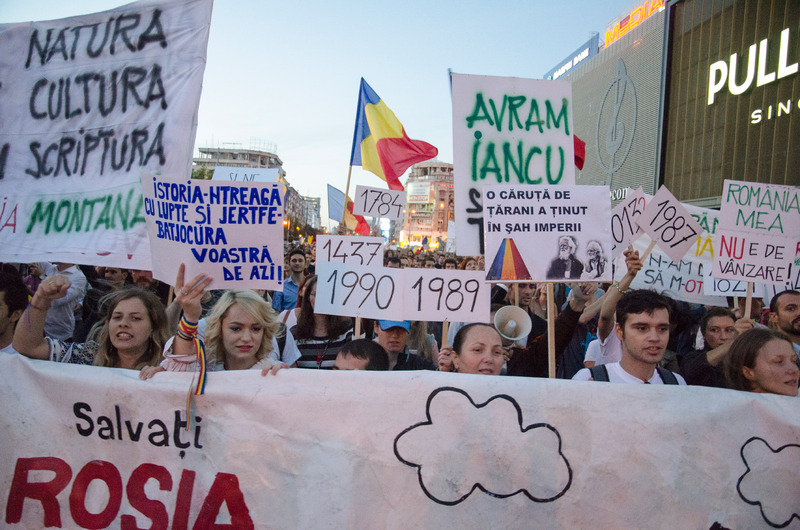 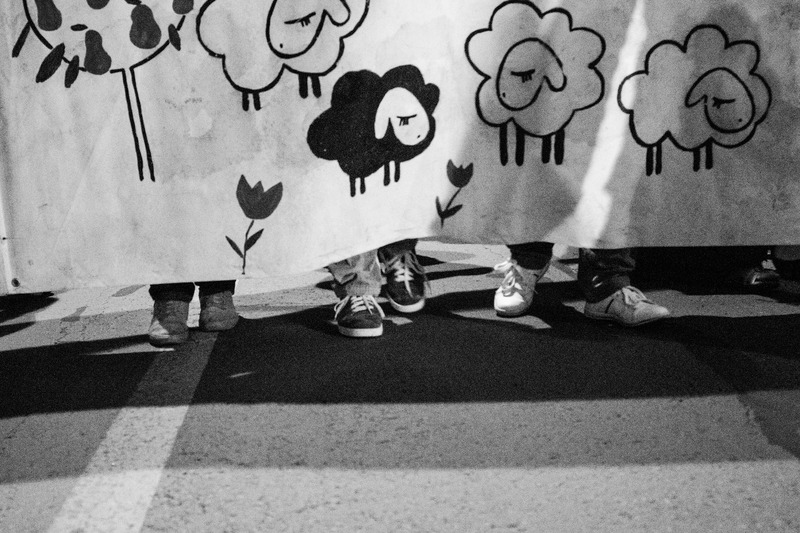 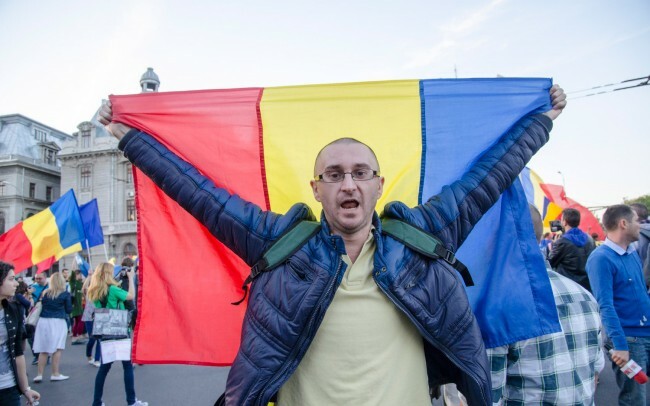 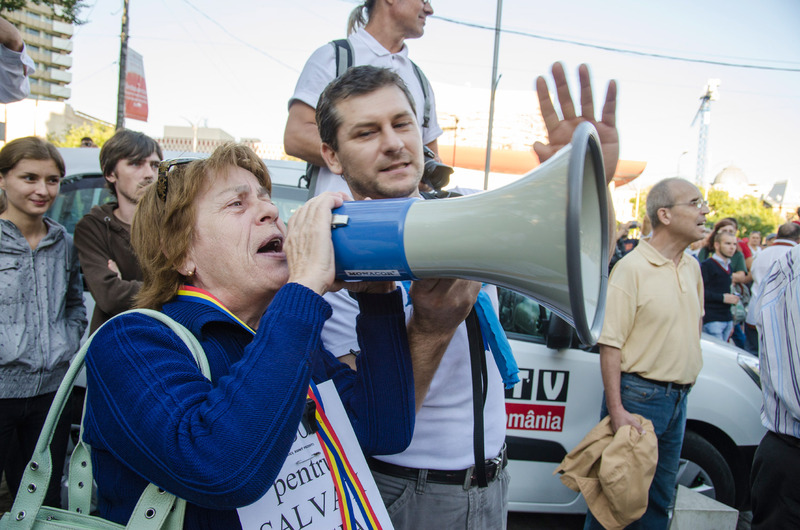 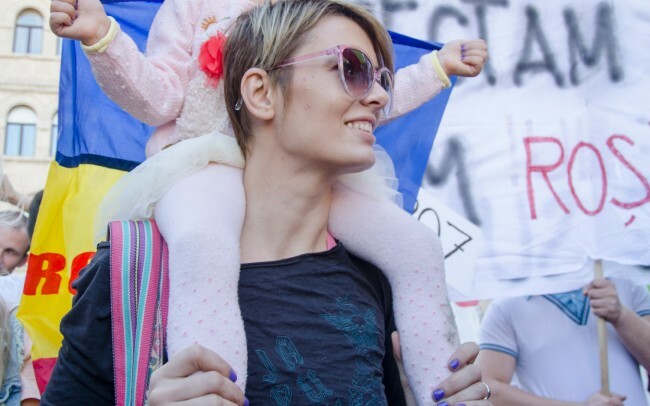 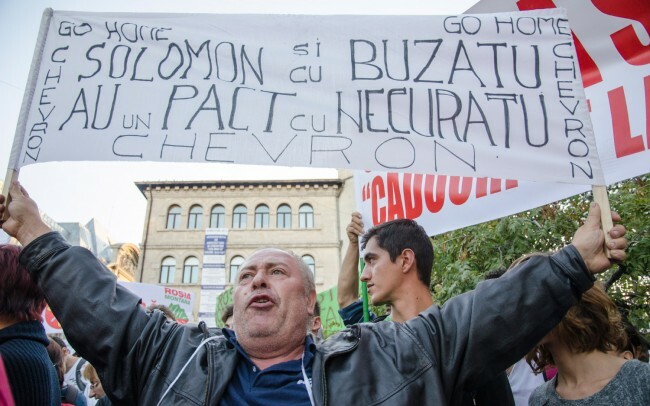 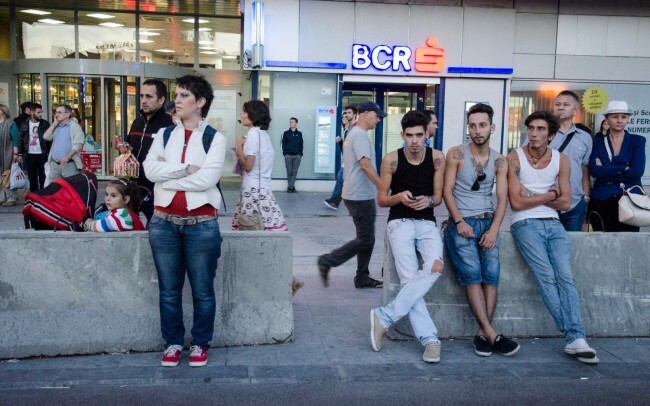 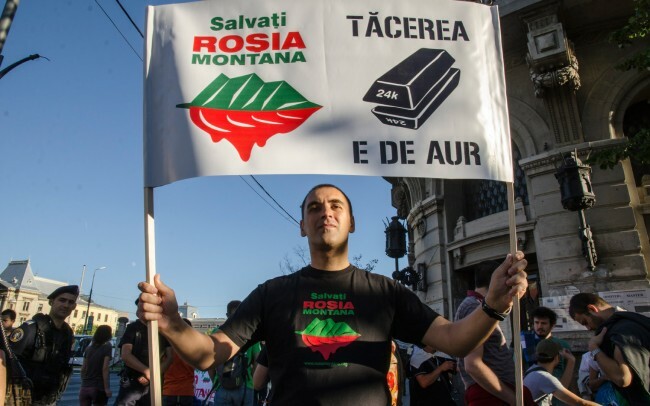 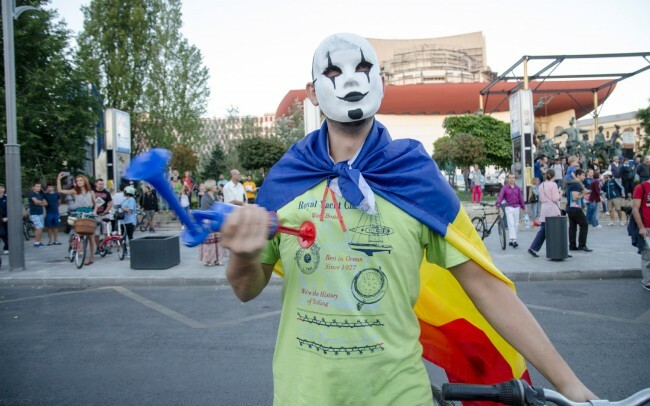 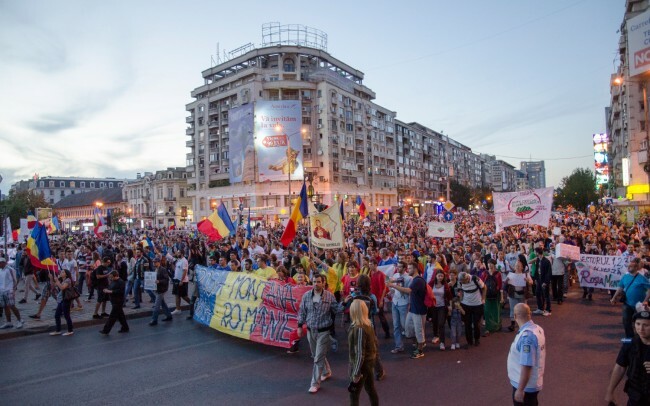 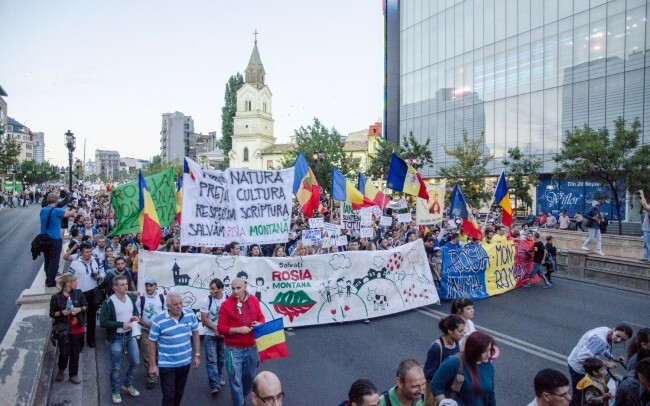 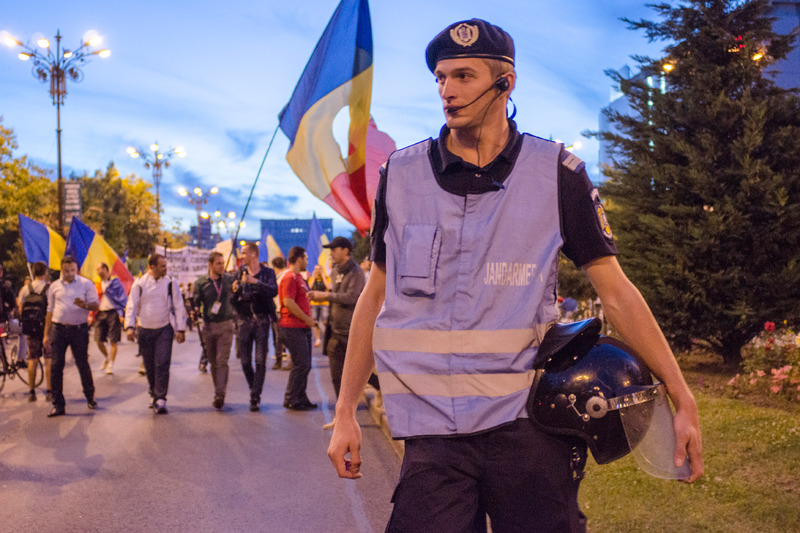 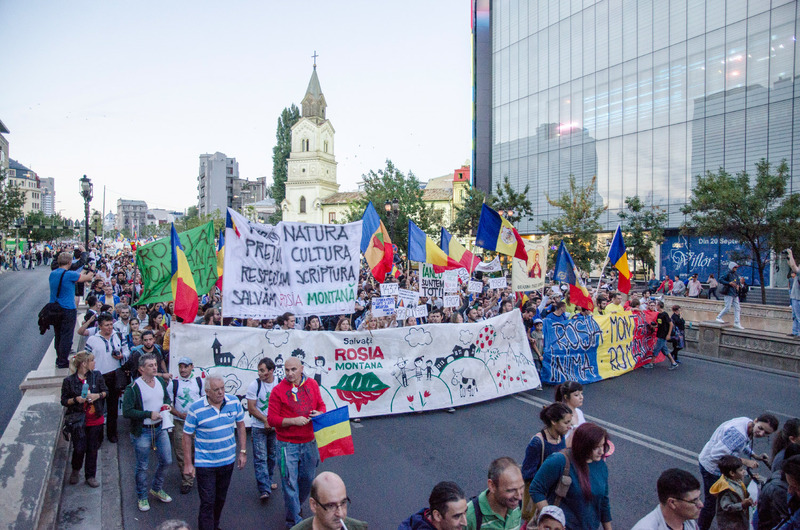 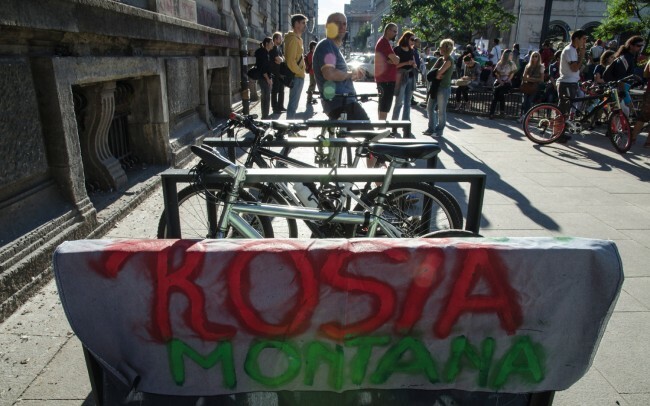 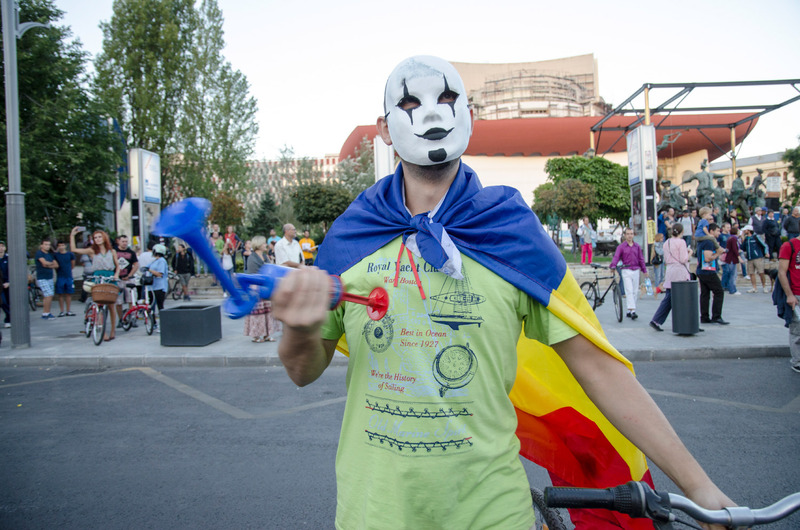 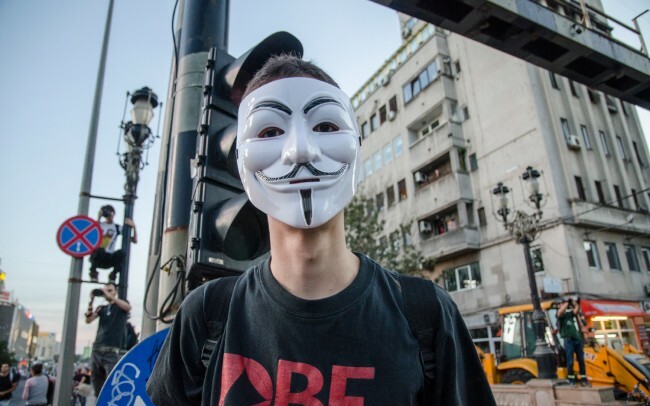 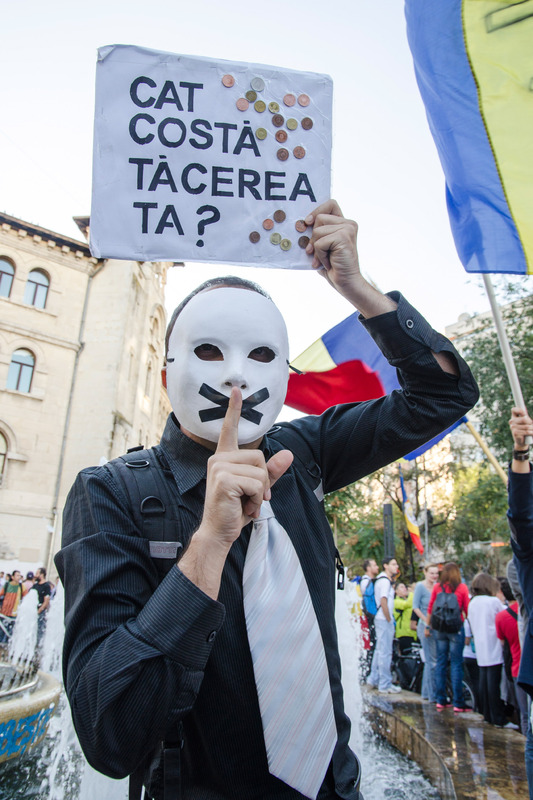 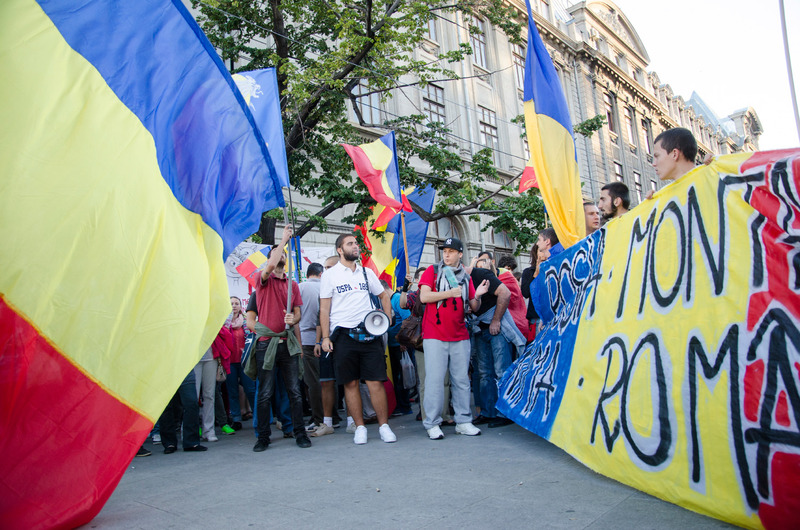 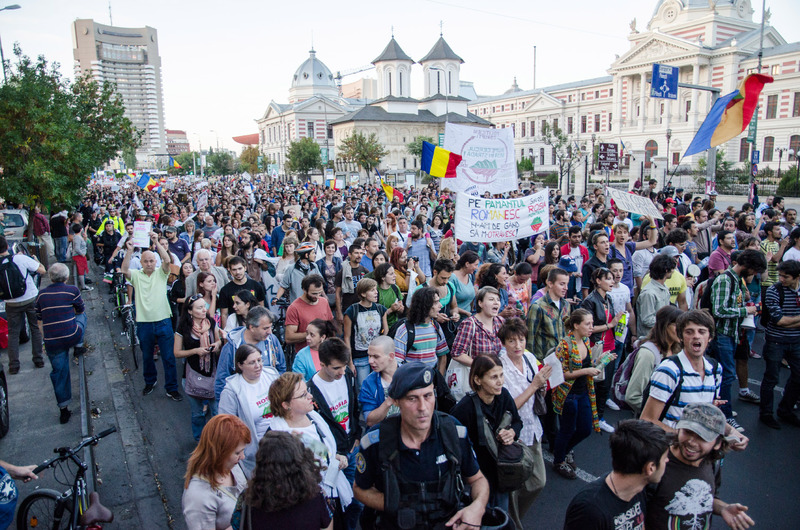 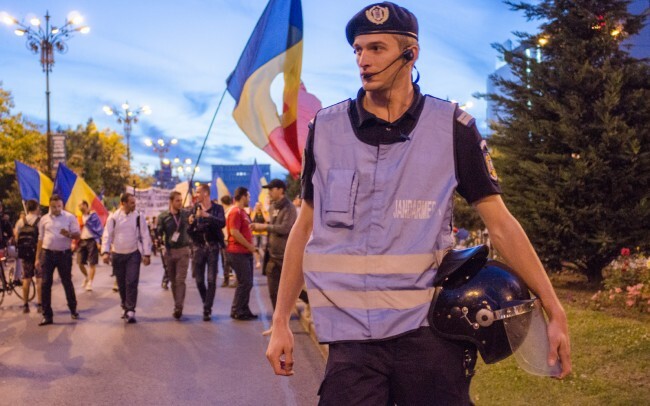 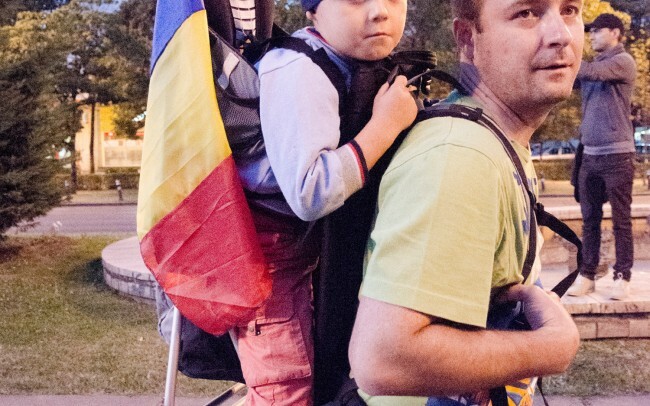 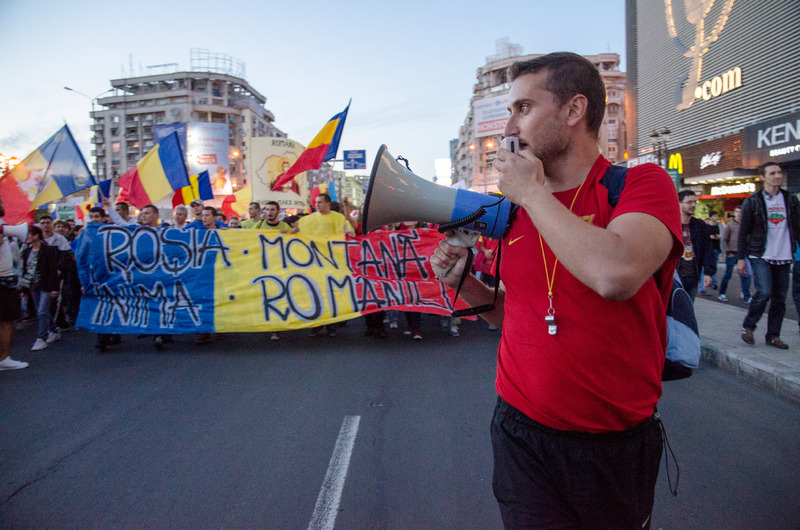 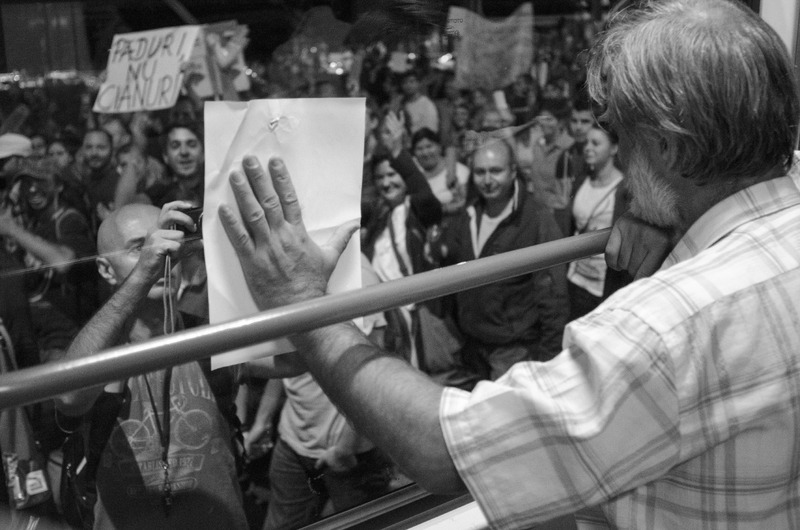 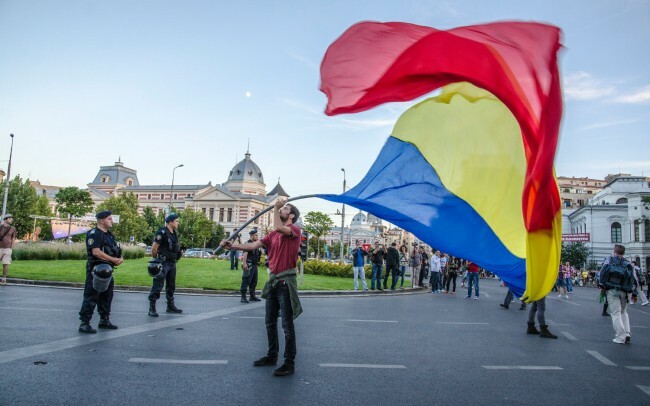 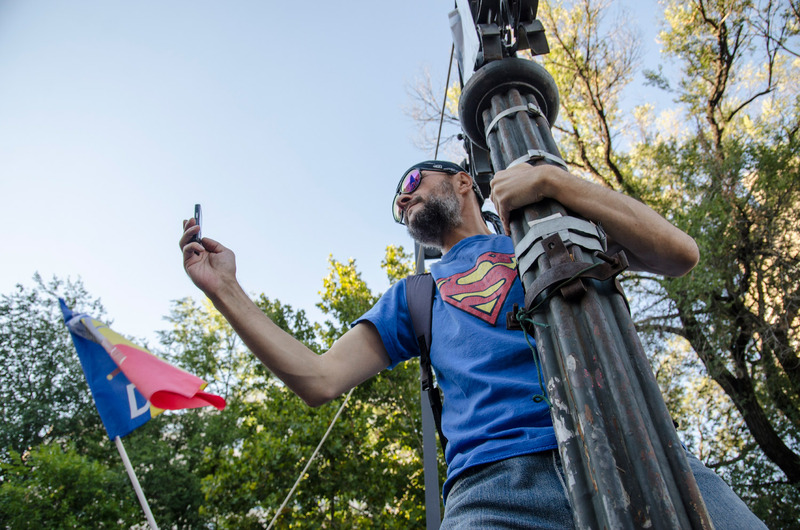 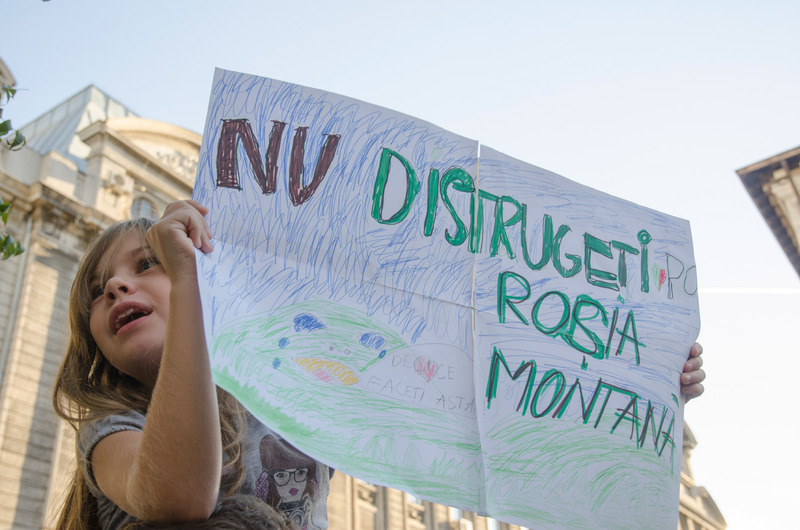 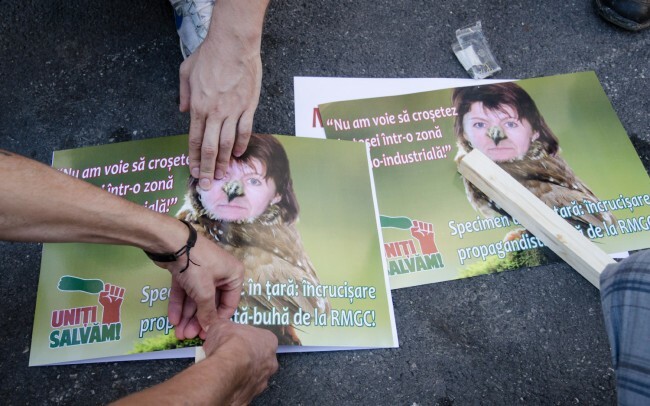 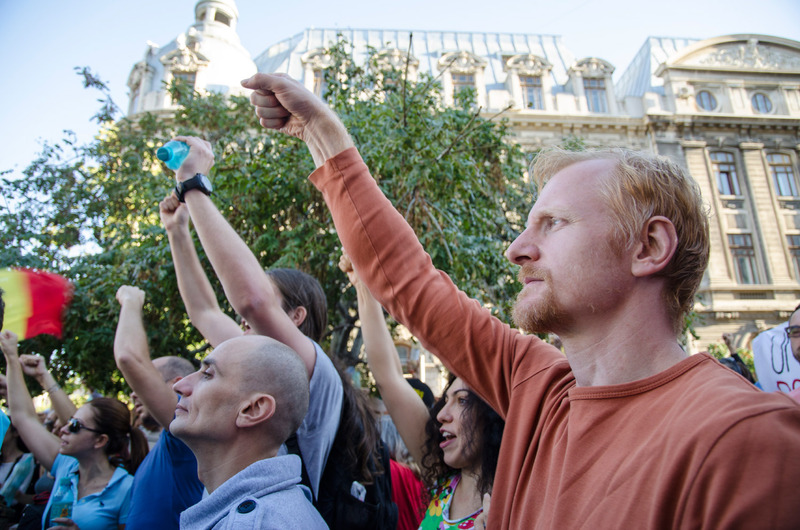 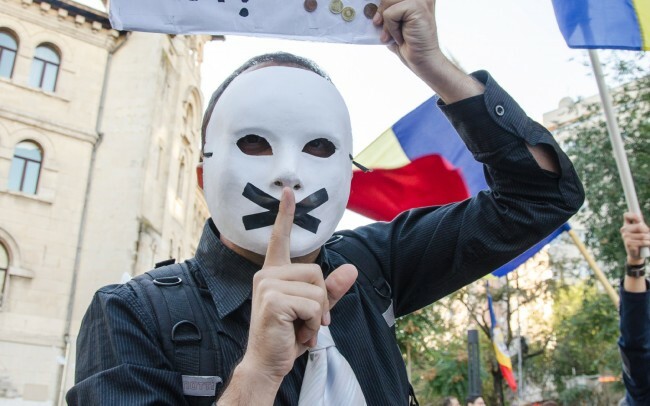 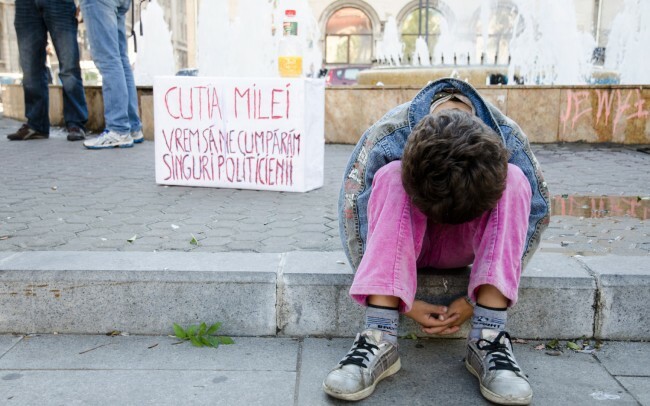 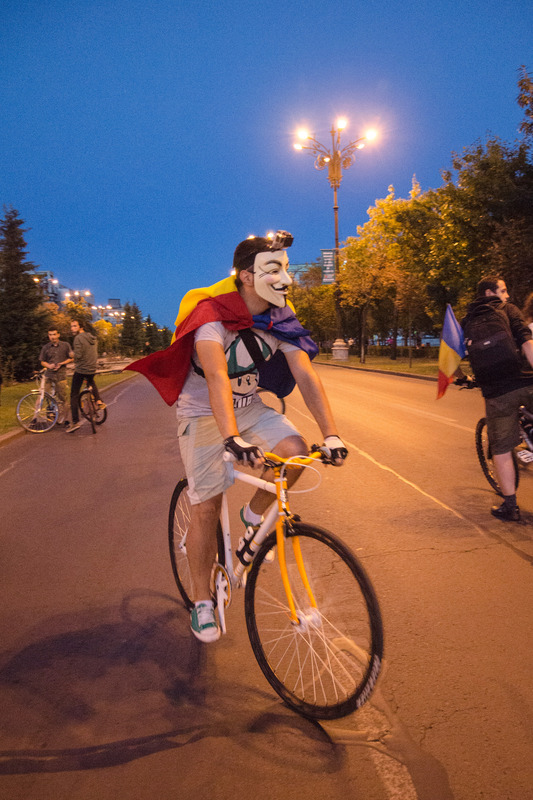 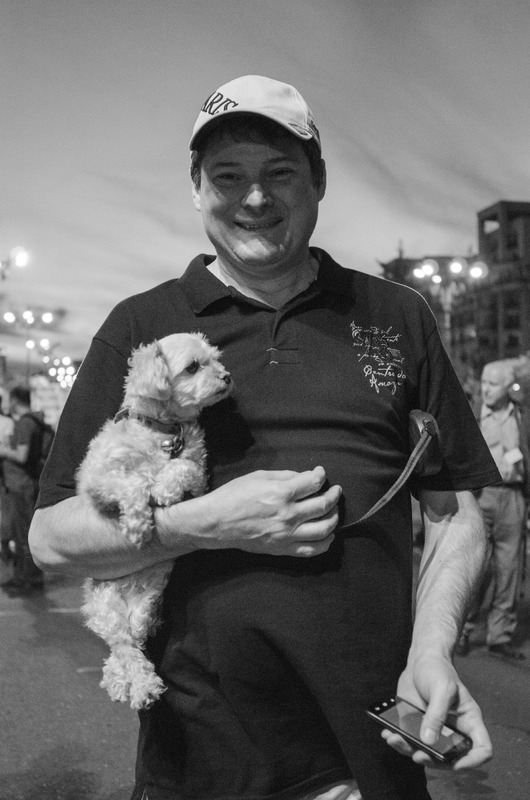 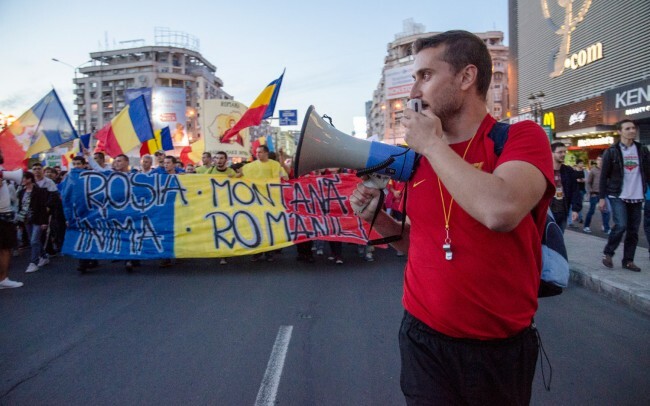 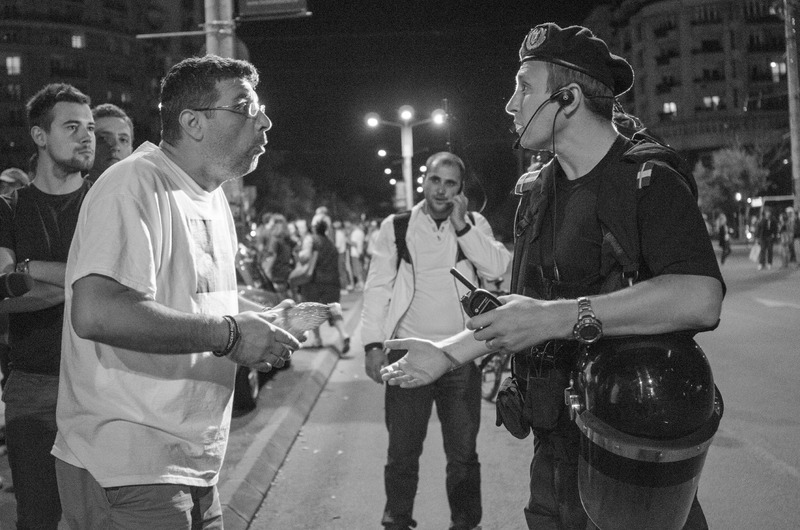 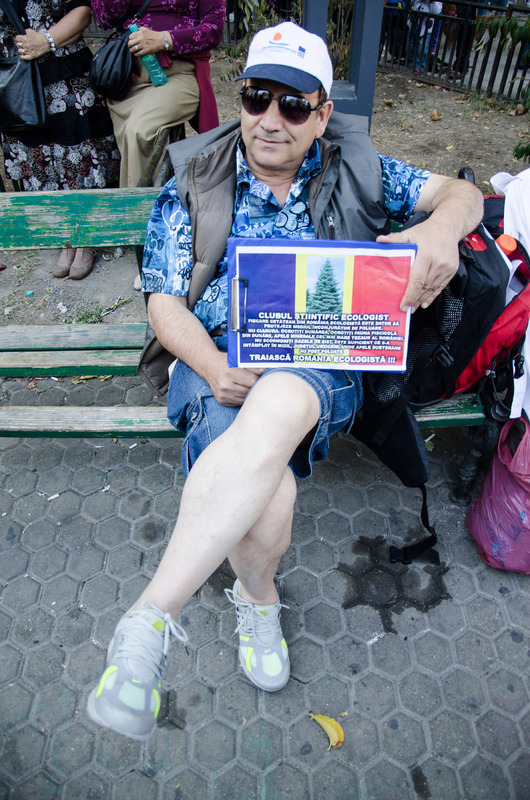 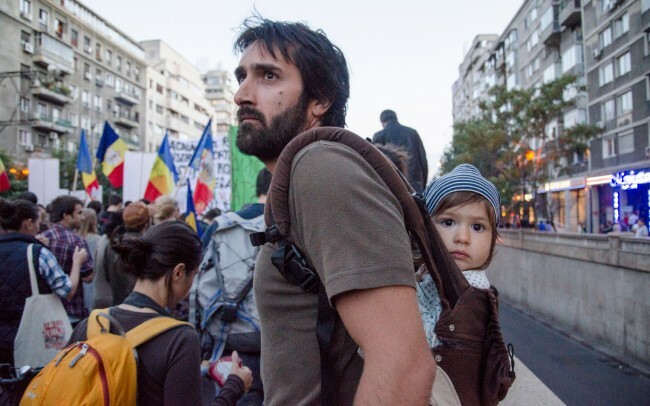 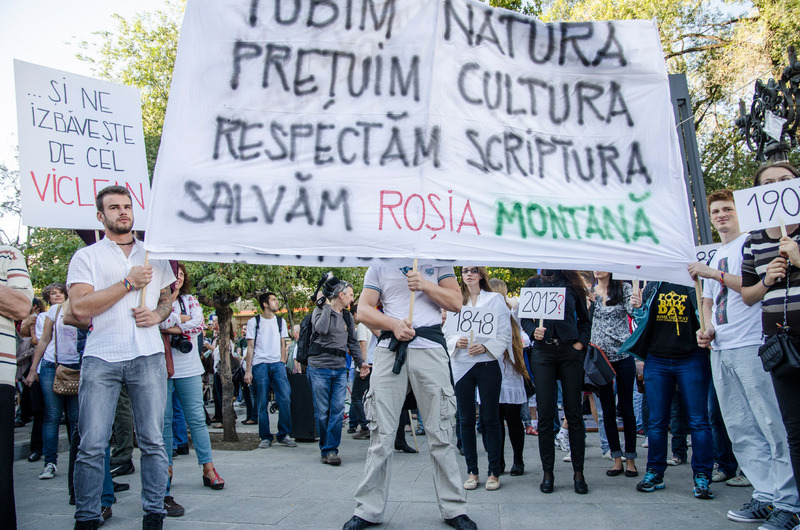 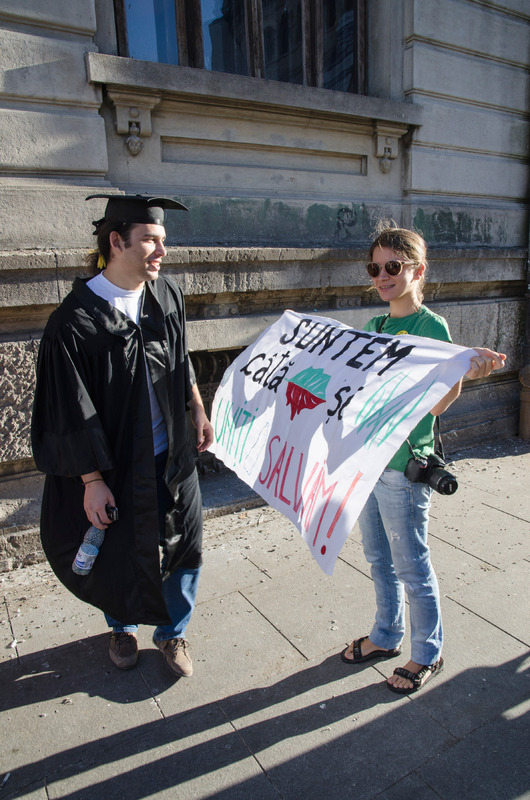 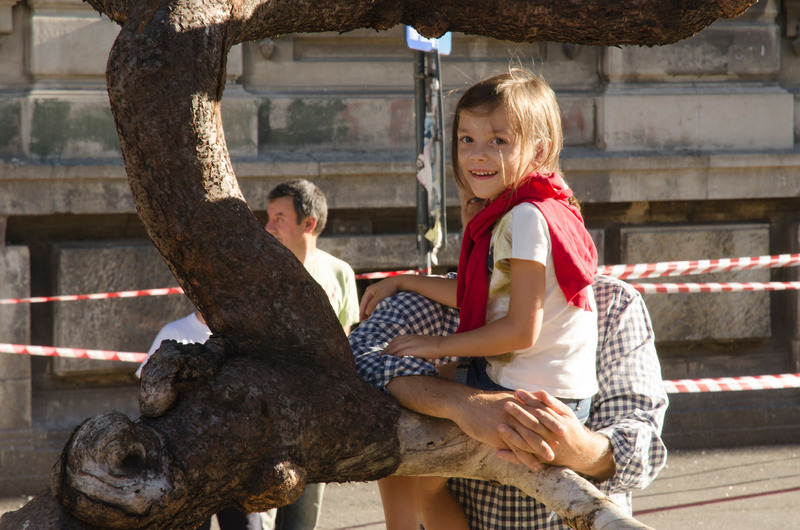 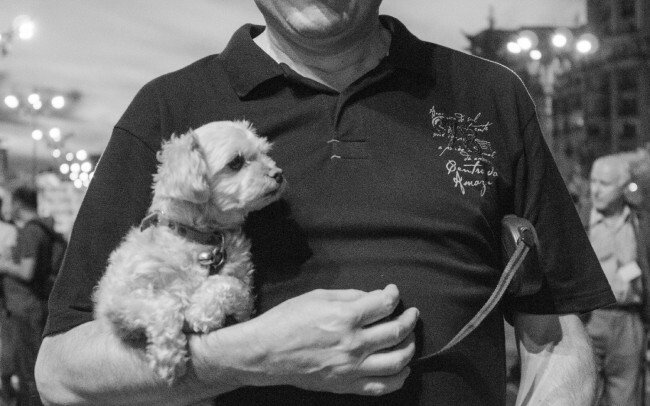 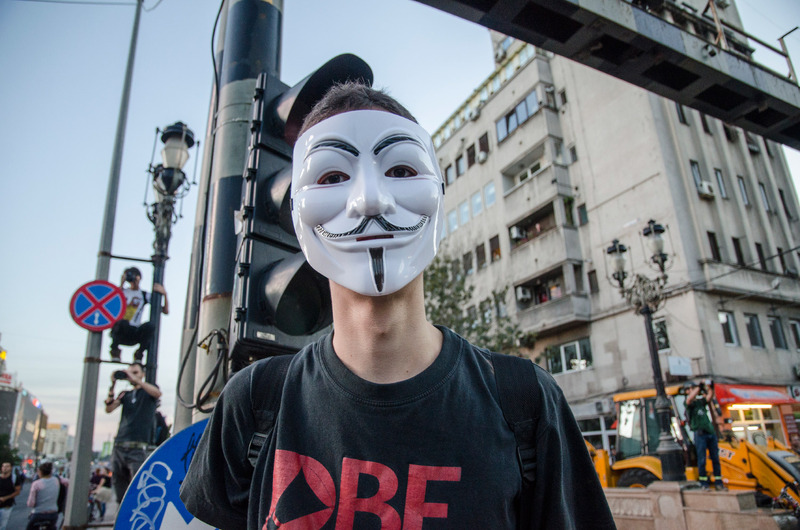 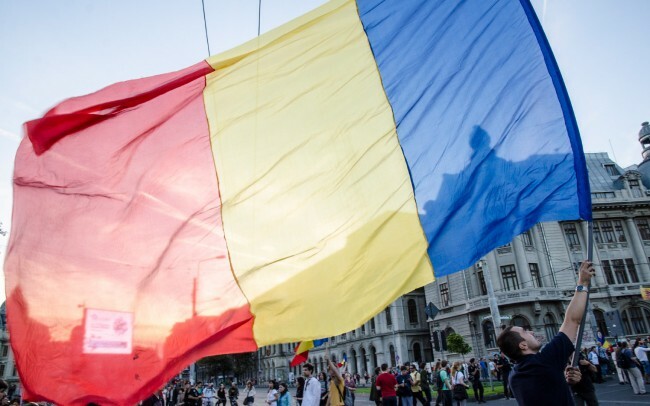 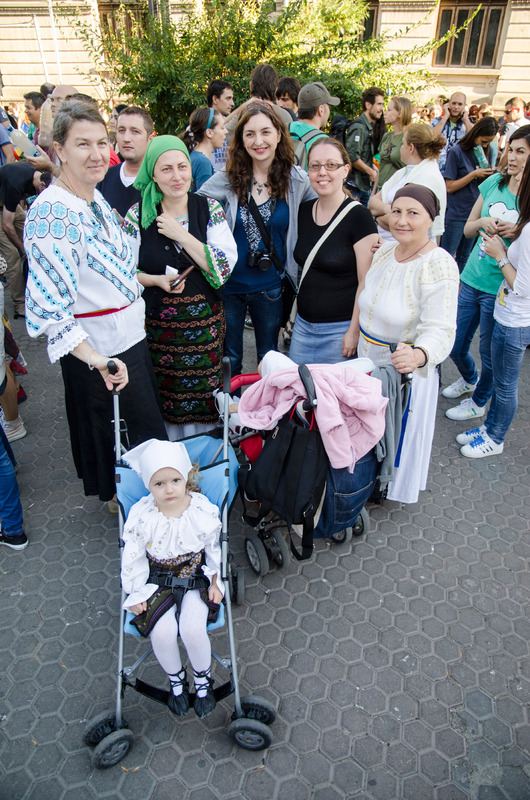 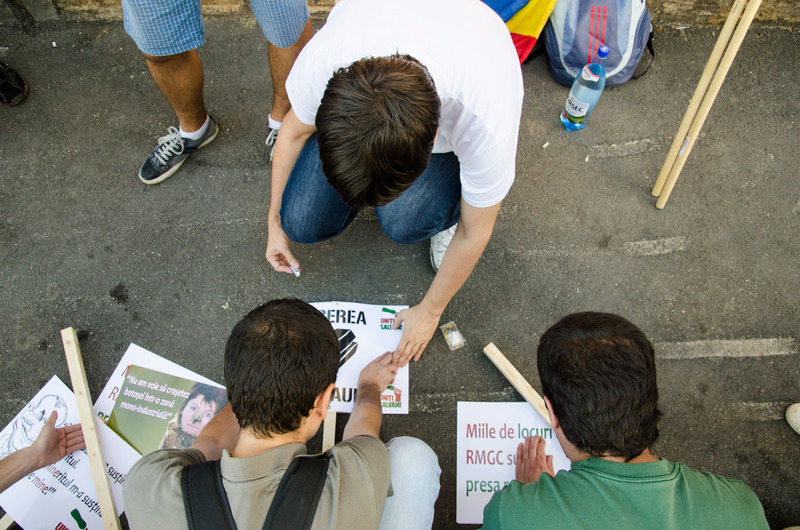 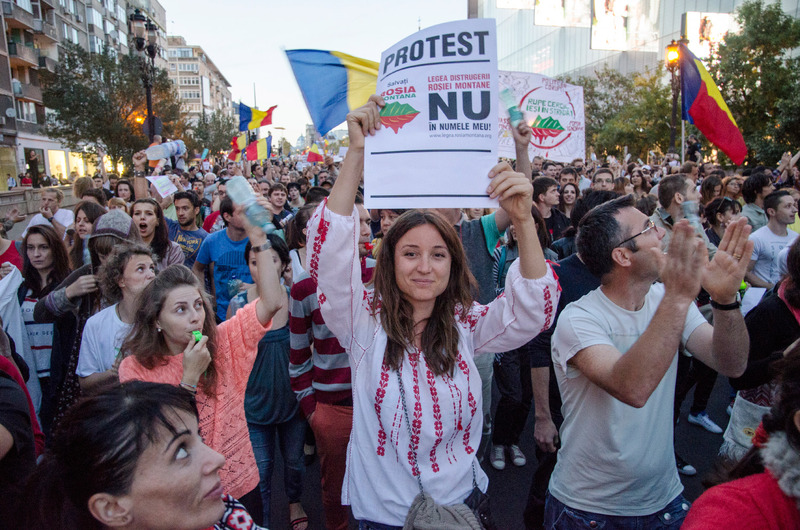 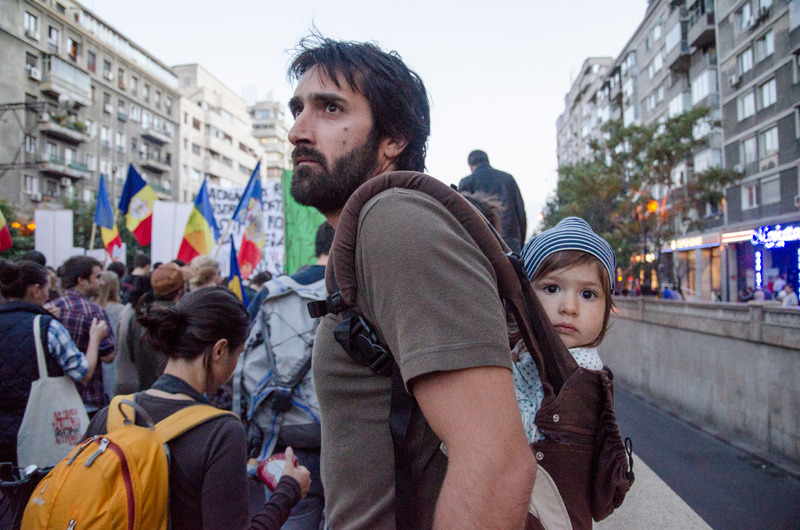 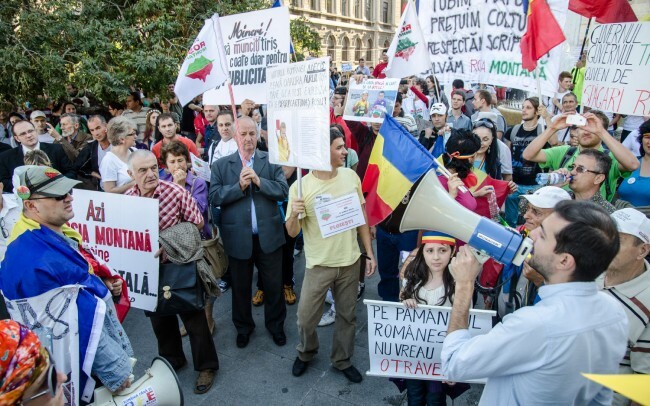 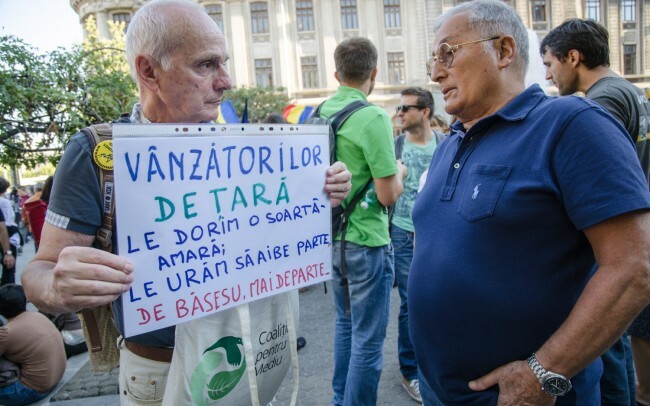 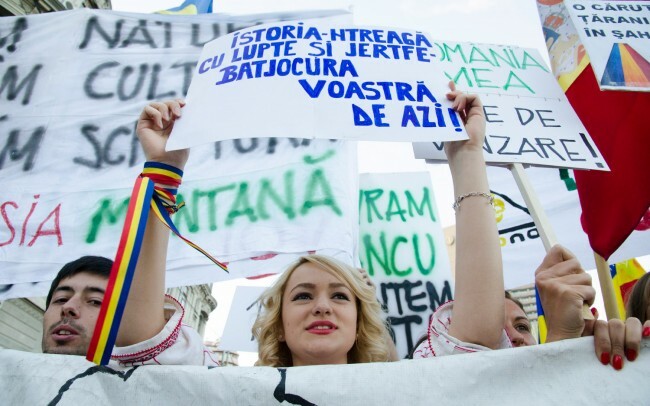 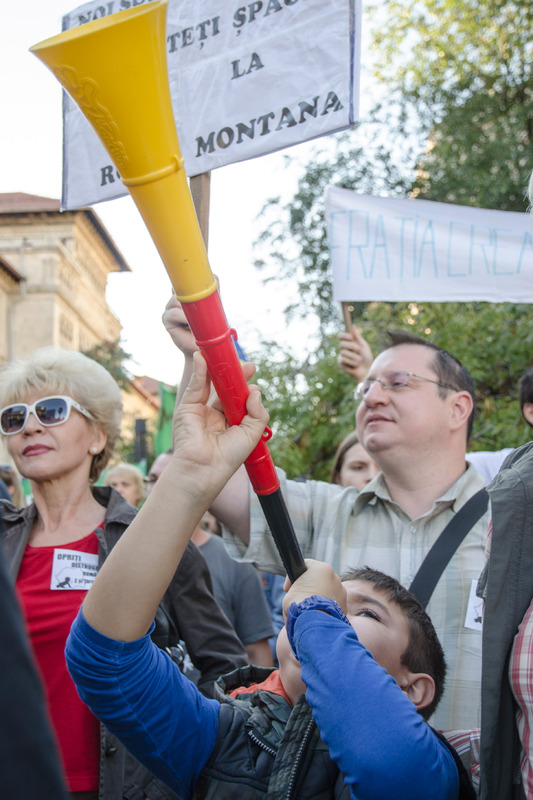 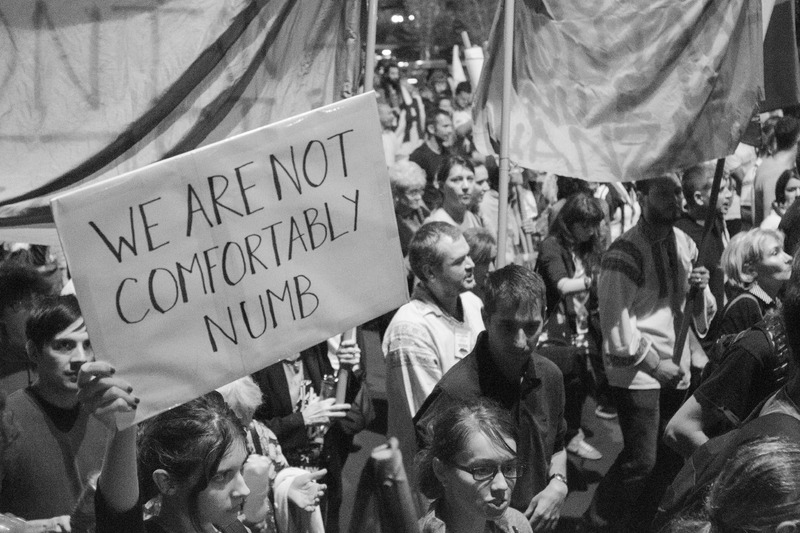 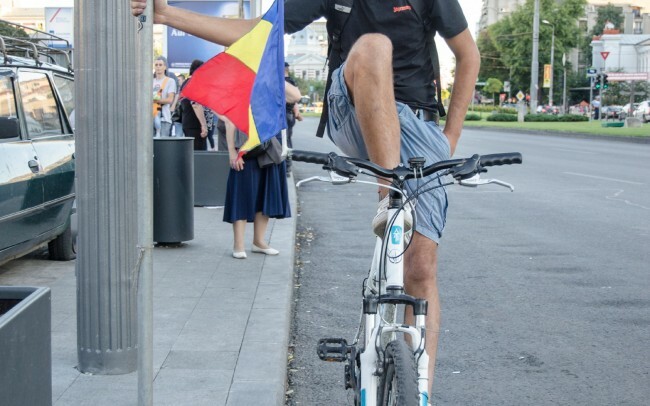 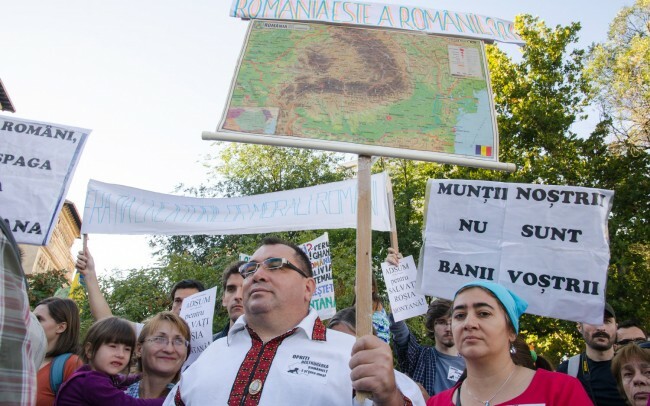 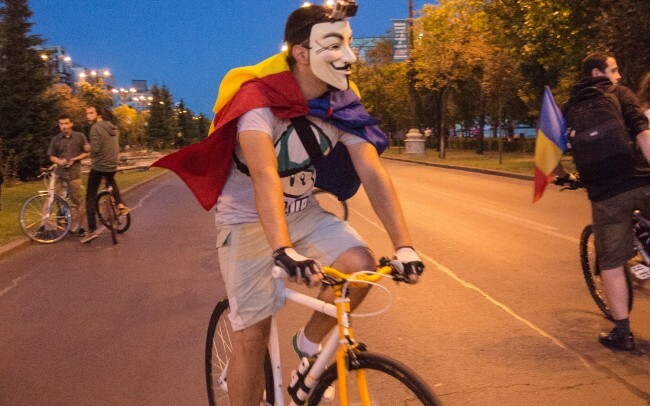 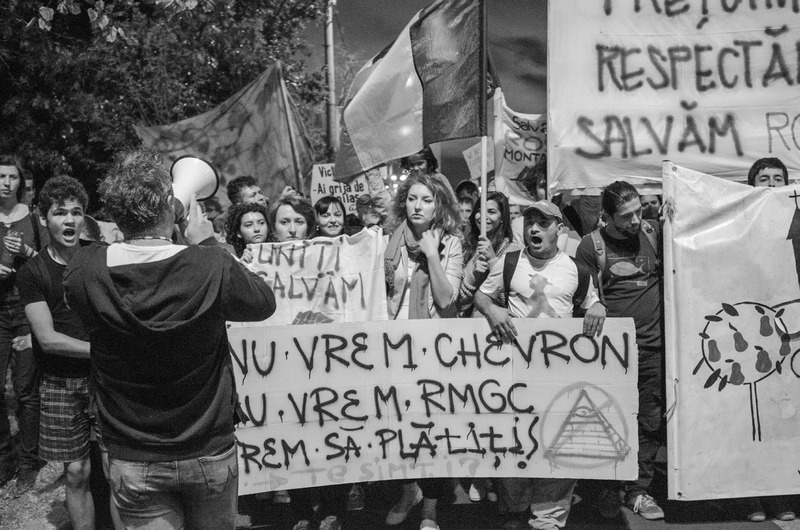 On the 15th of September 2013, at 5 pm people gathered in University Square in Bucharest to protest once again against the Rosia Montana mining project. 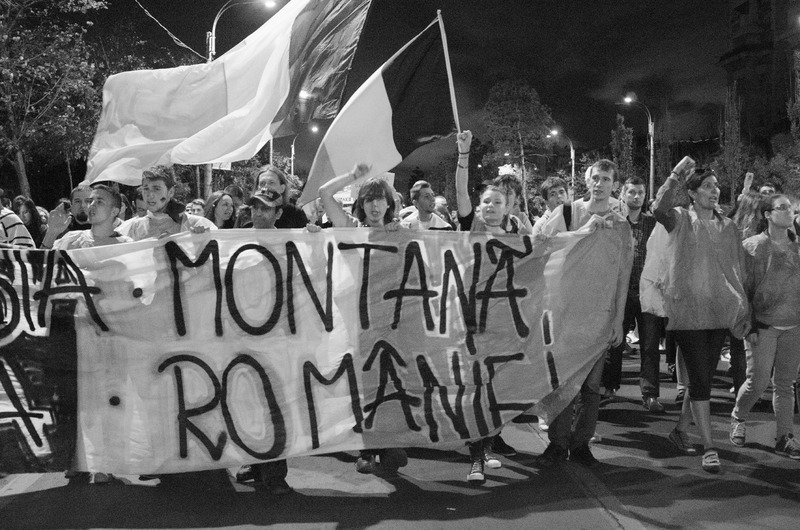 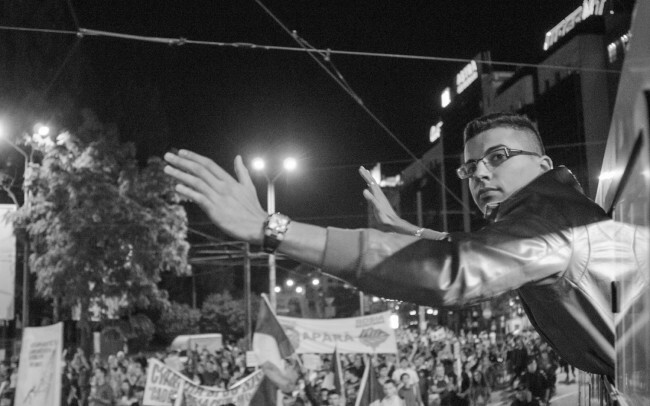 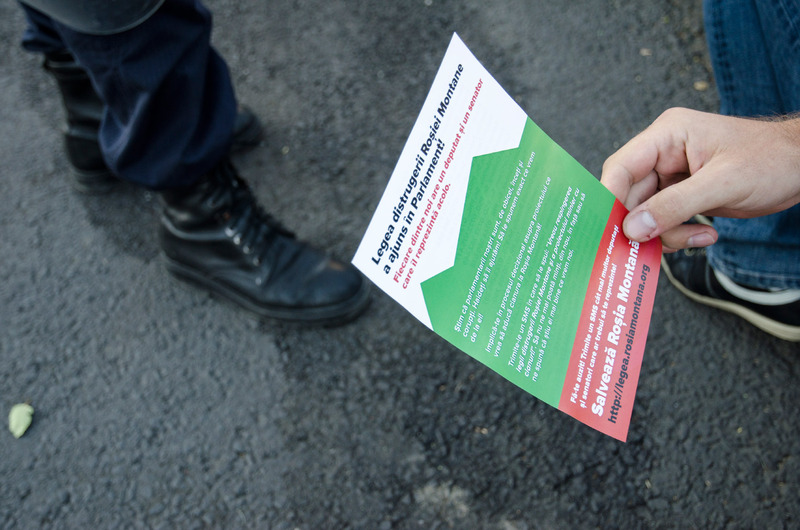 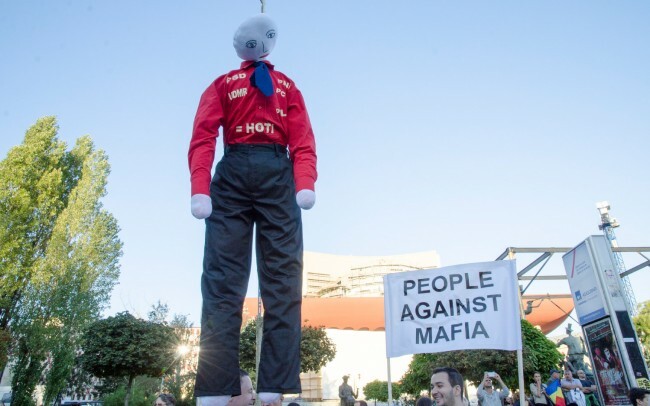 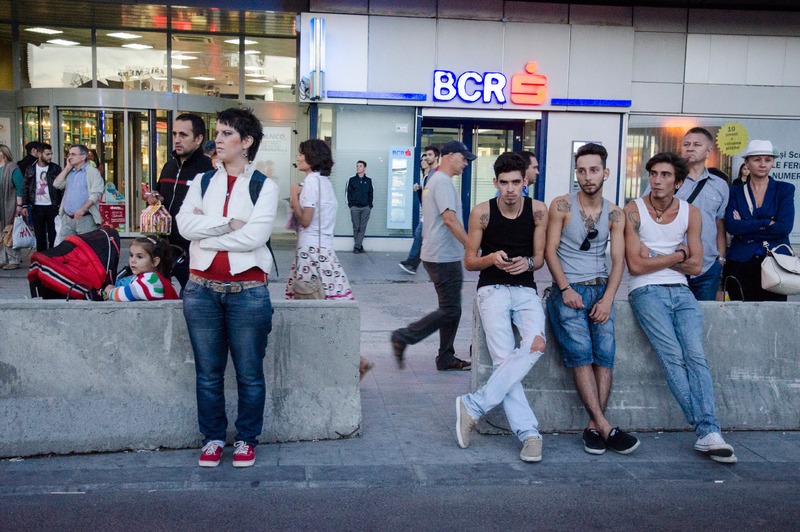 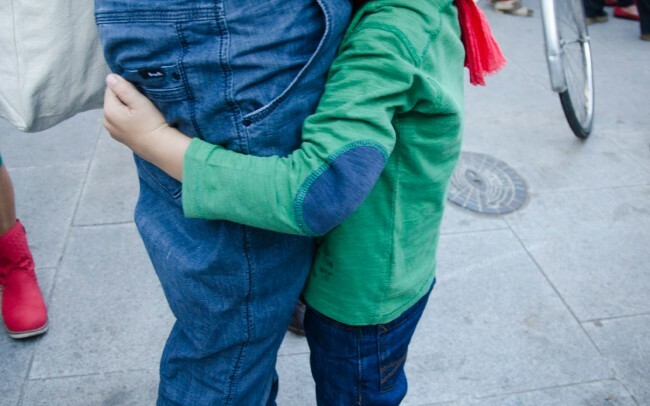 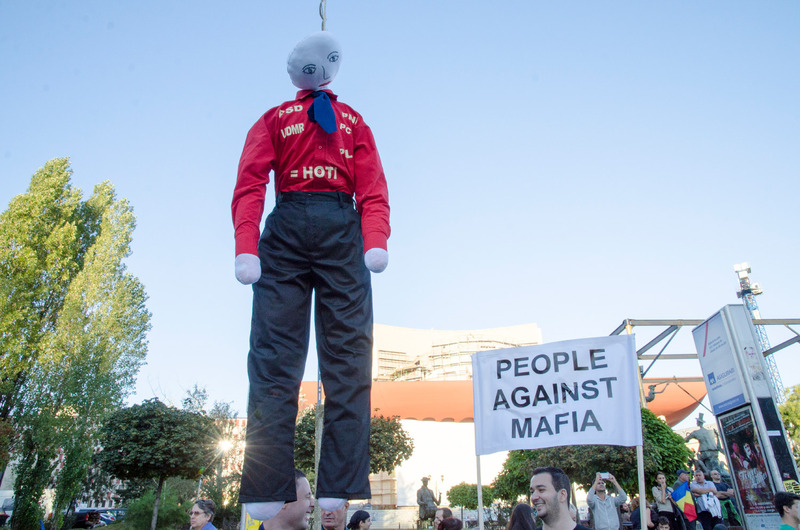 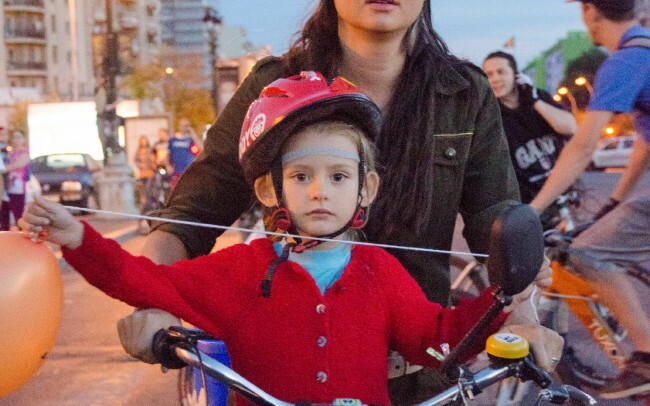 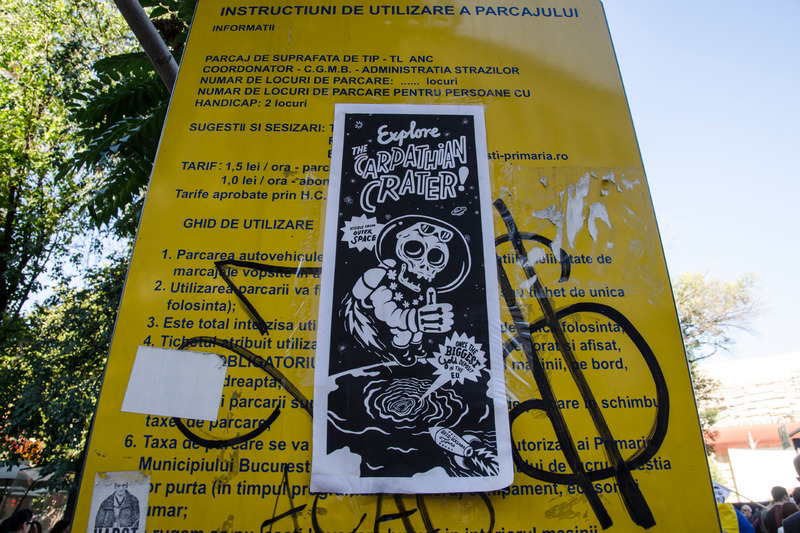 This action took place in many cities not only from Romania but from all over Europe. 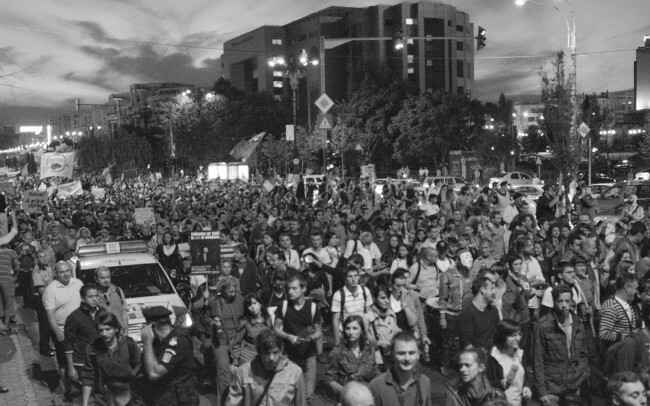 This protest was the biggest yet. 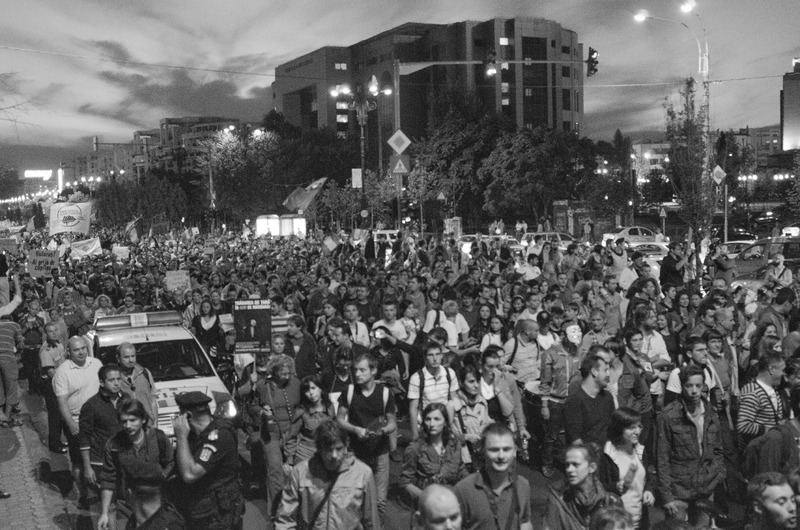 By the end, there were more than 25.000 people protesting. 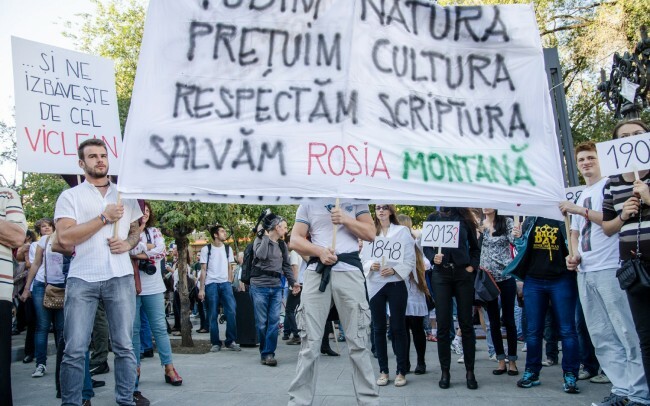 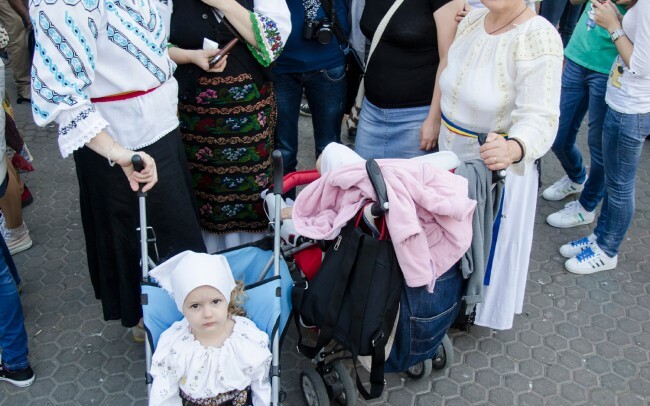 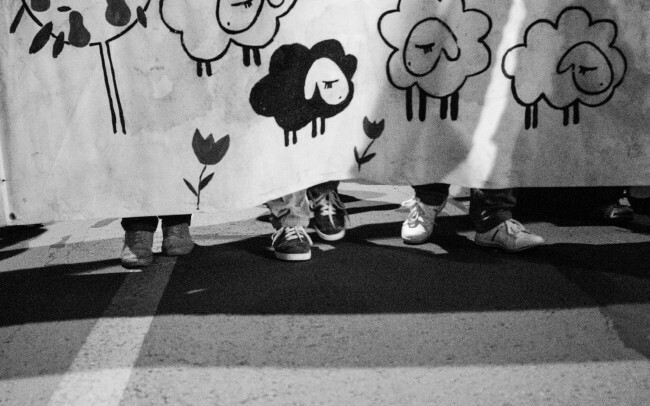 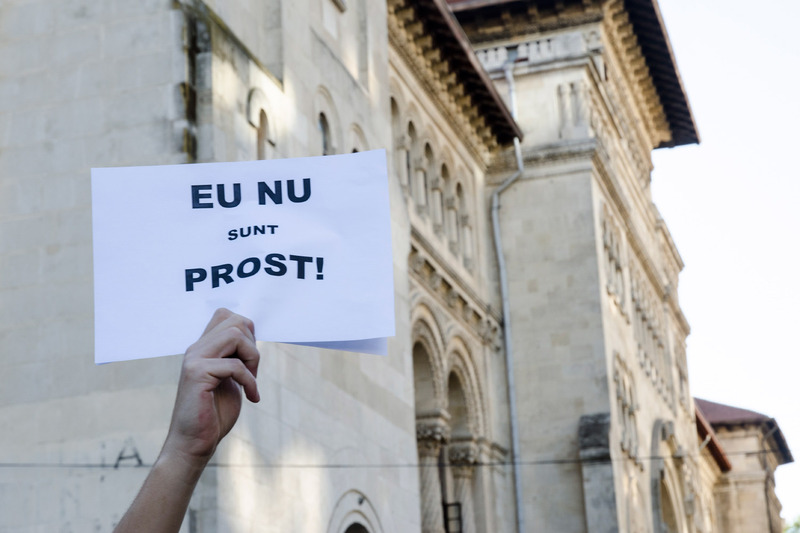 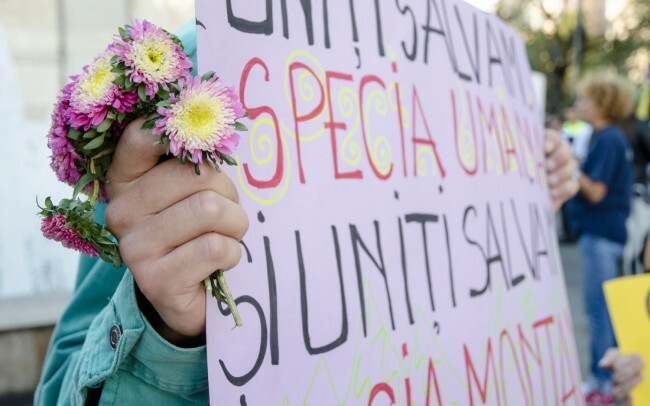 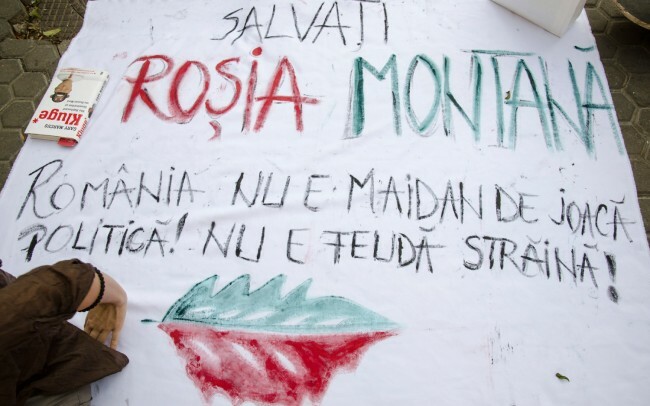 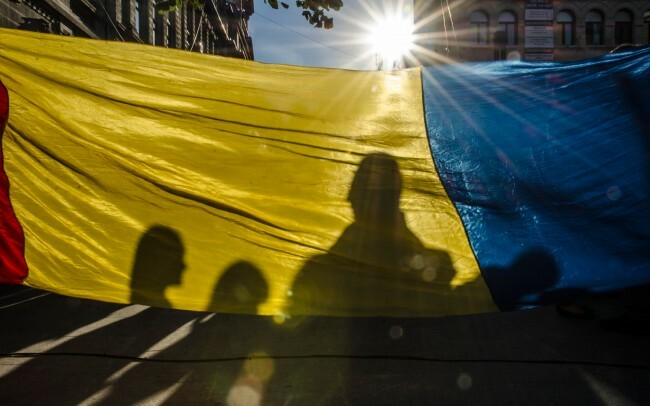 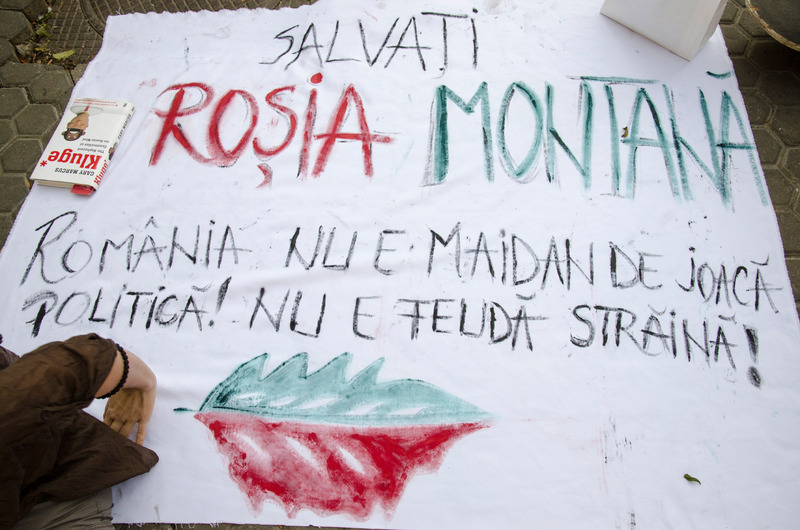 In 2 hours before the march began at 7pm, they chanted “United, we save Rosia Montana”, “Not the corporation makes the legislation” and “Get out of the house if you care”. 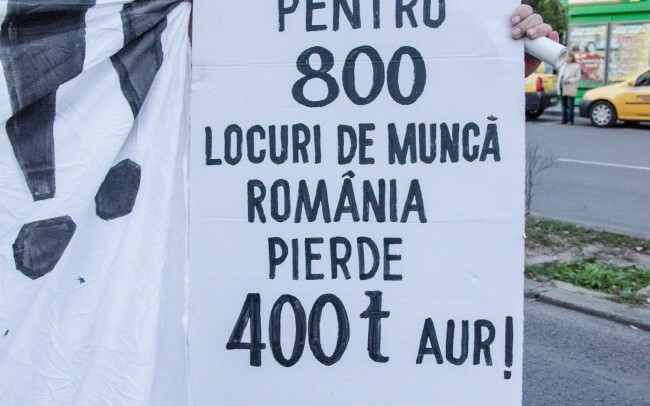 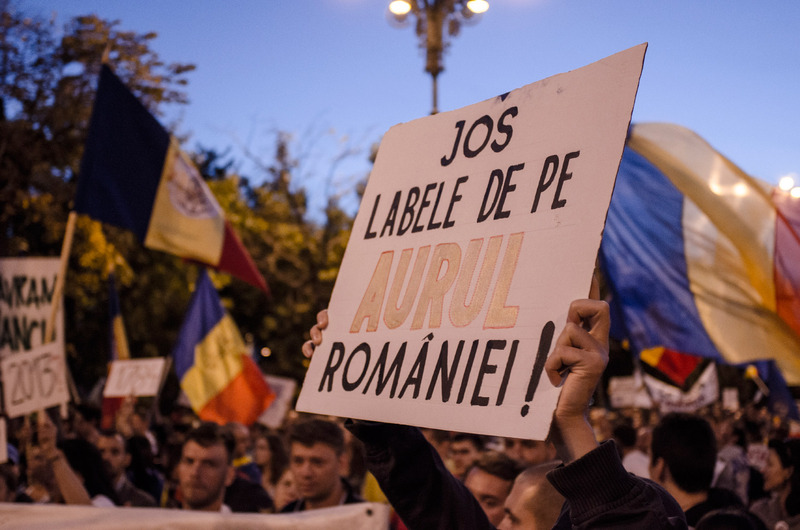 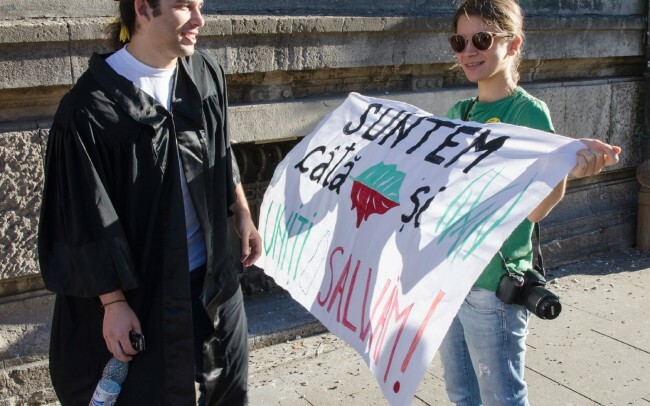 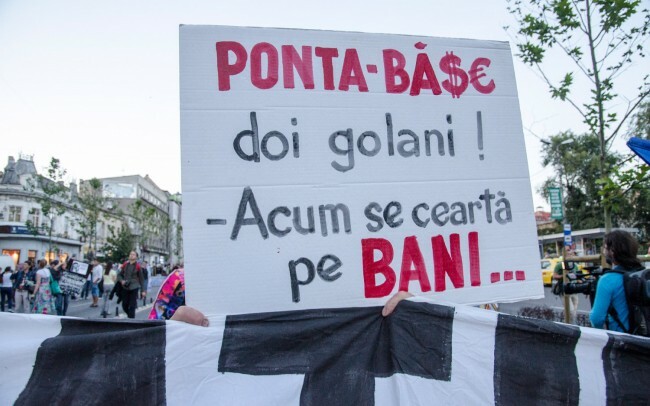 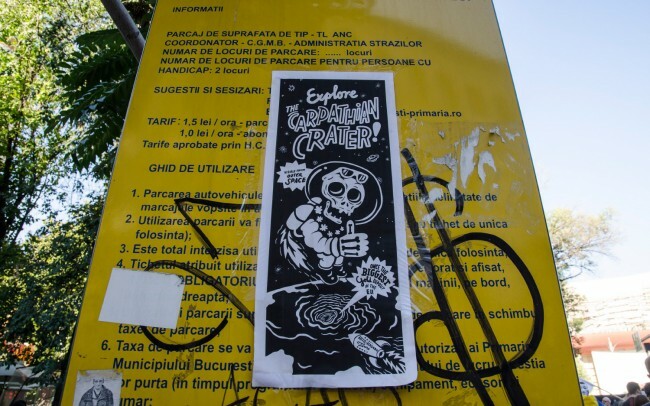 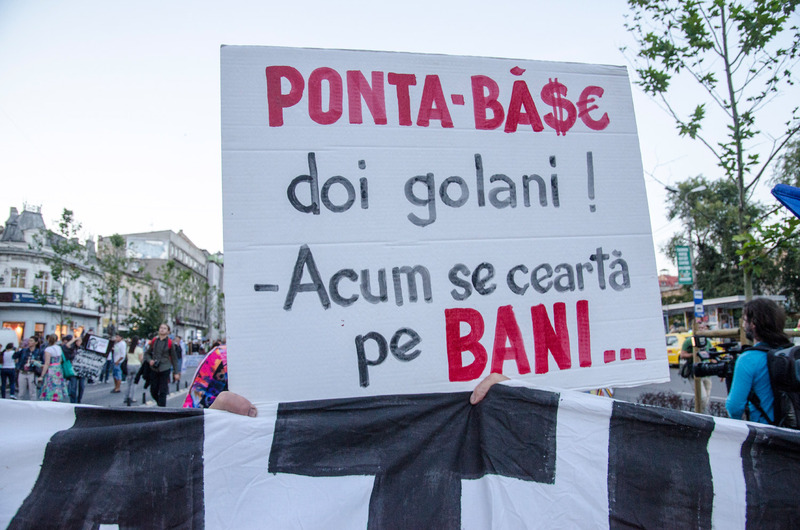 This time, new things were written on the banners: “You don’t need gold to shine”, “On Romanian land, I don’t want to be poisoned”, “For 800 jobs, Romania loses 400 tones of gold”. 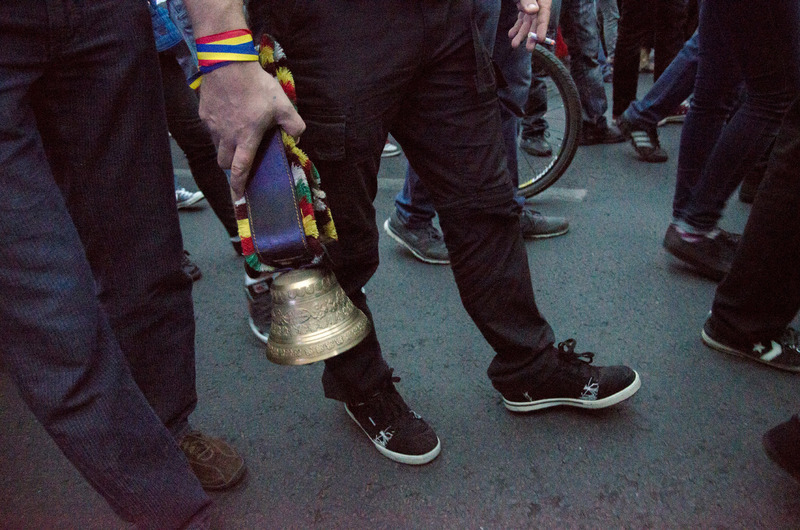 Moreover, the march had a different path. 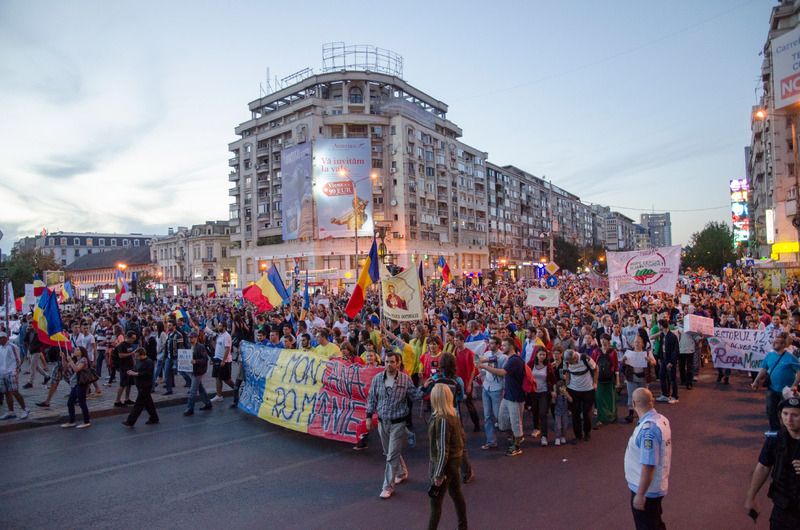 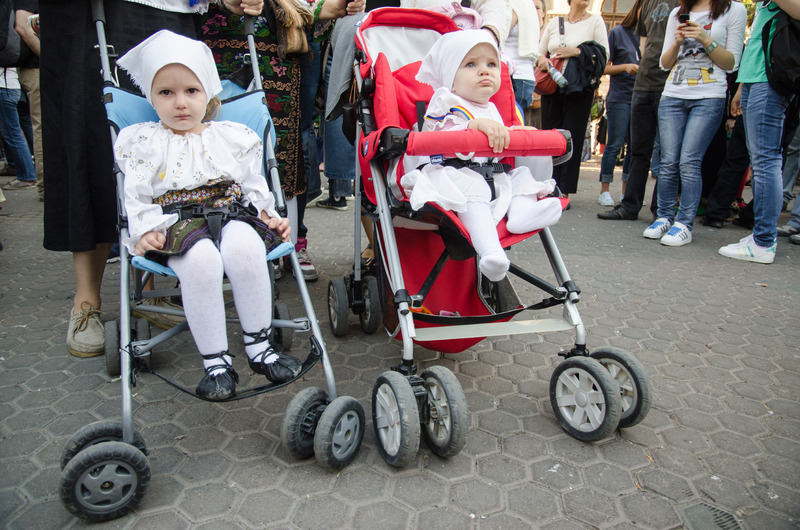 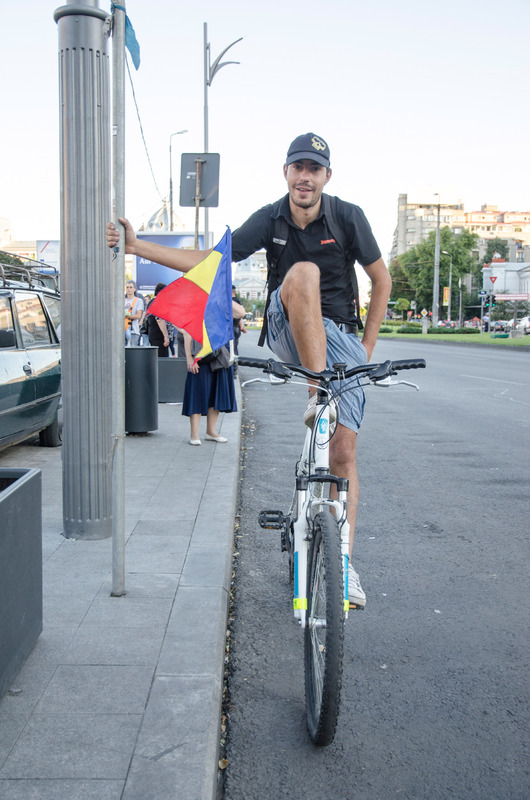 From the University Square, they went towards the Unirii Square and from then on Unirii Boulevard and continued on Nerva Traian Boulevard and then back to the University Square.